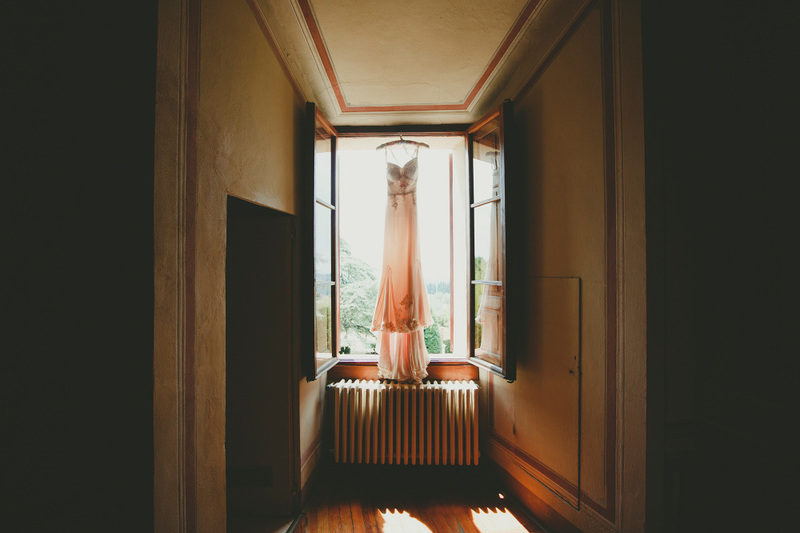 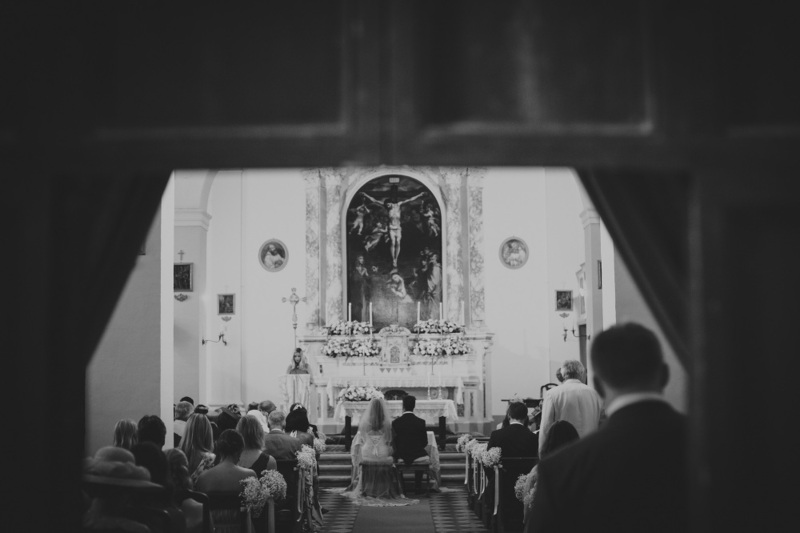 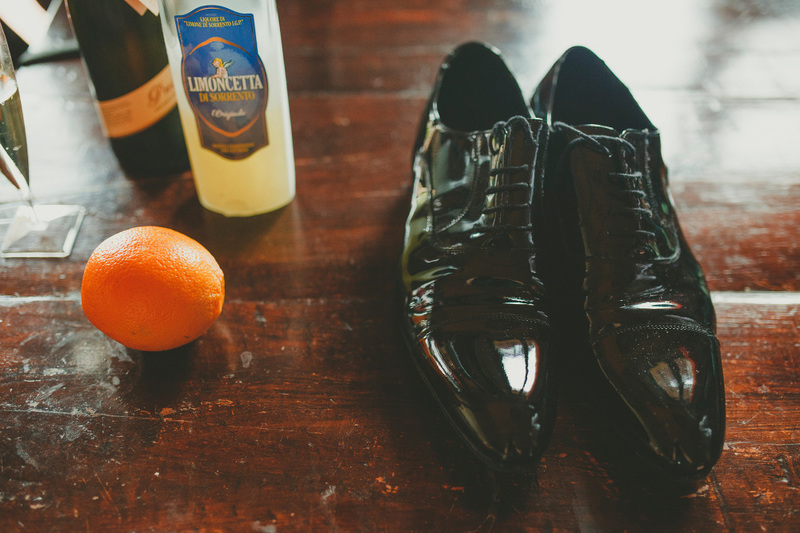 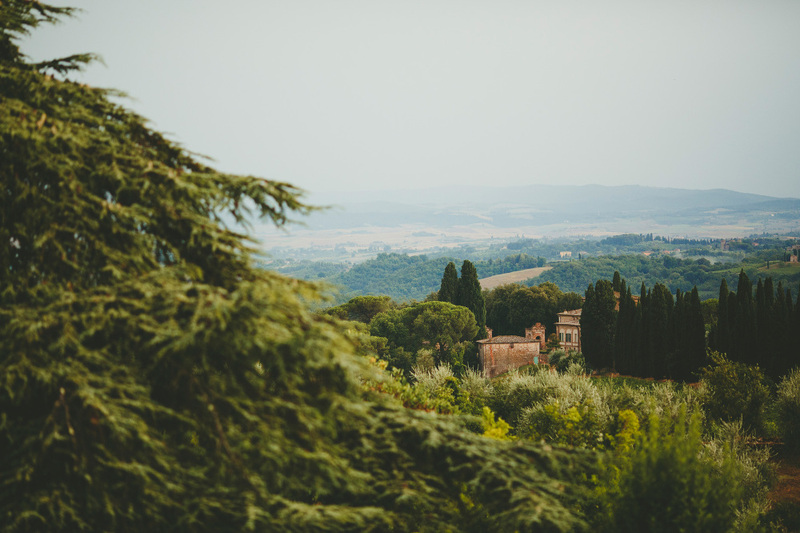 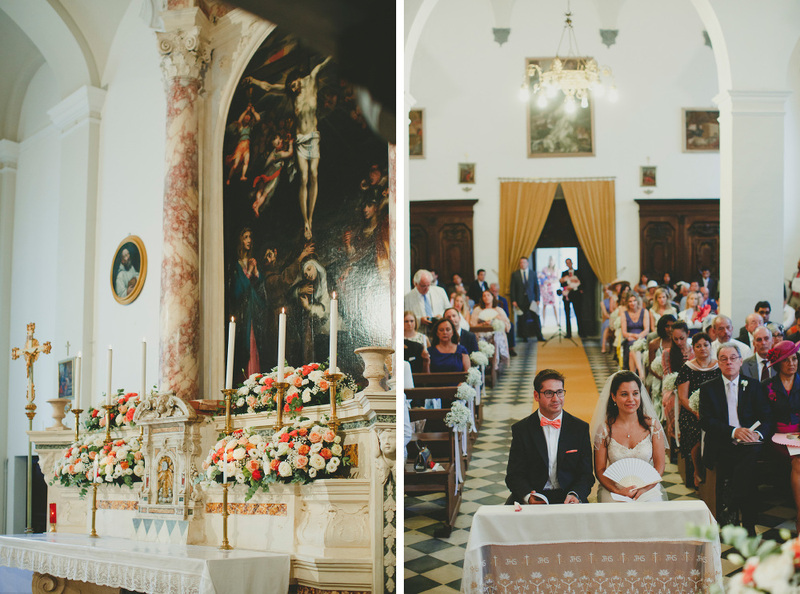 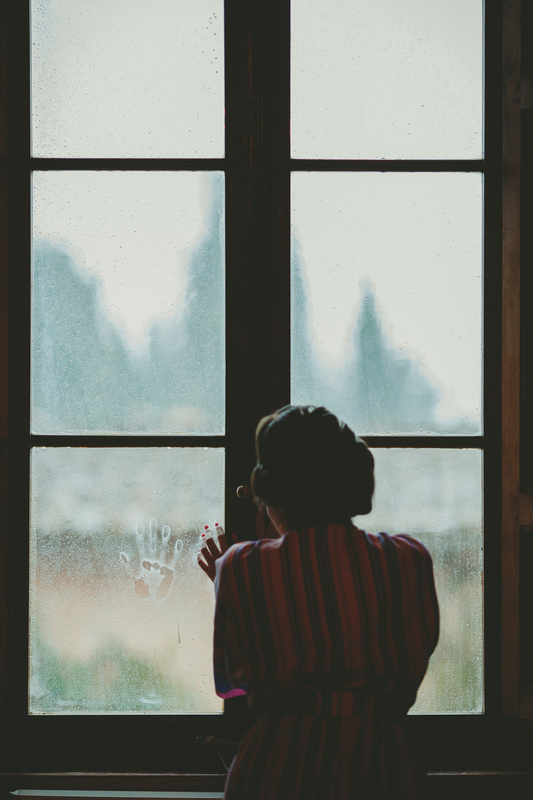 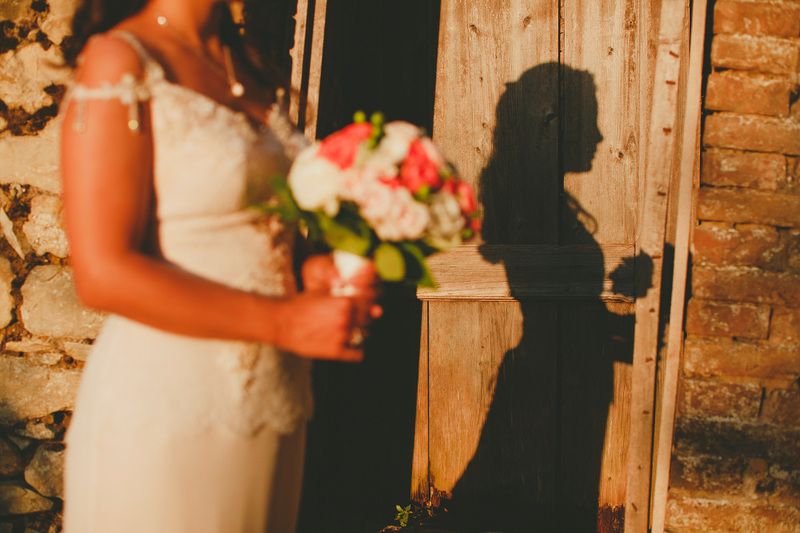 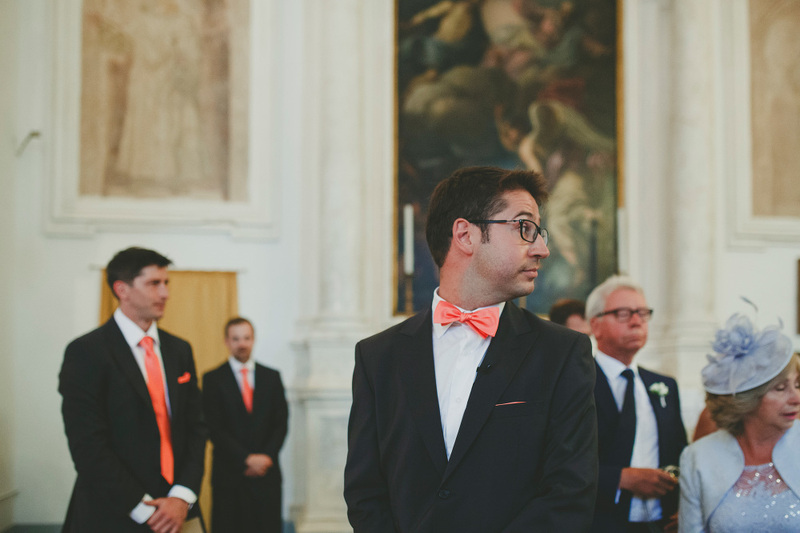 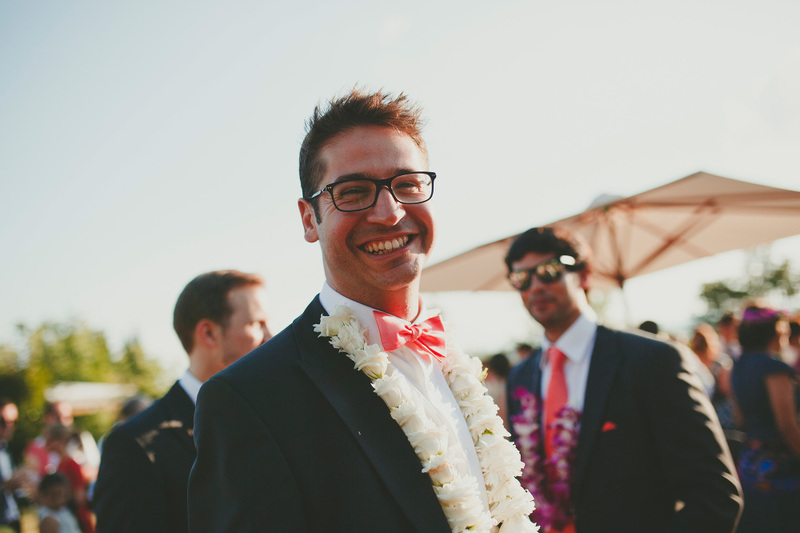 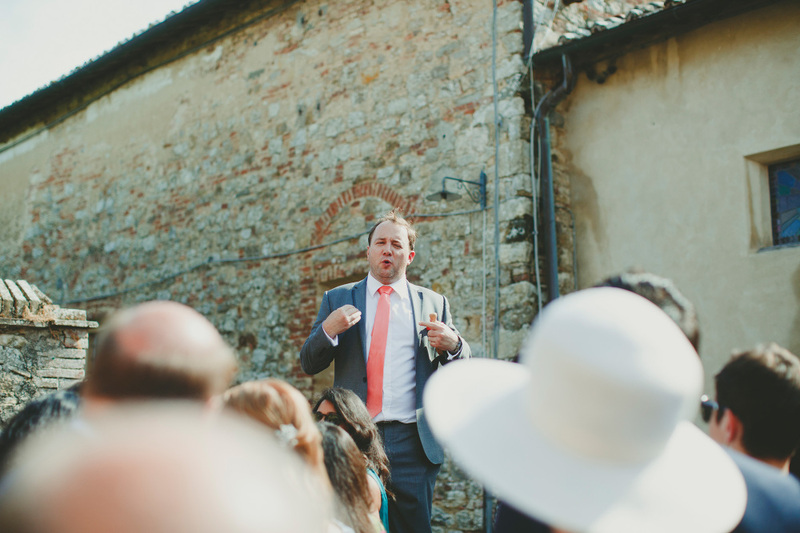 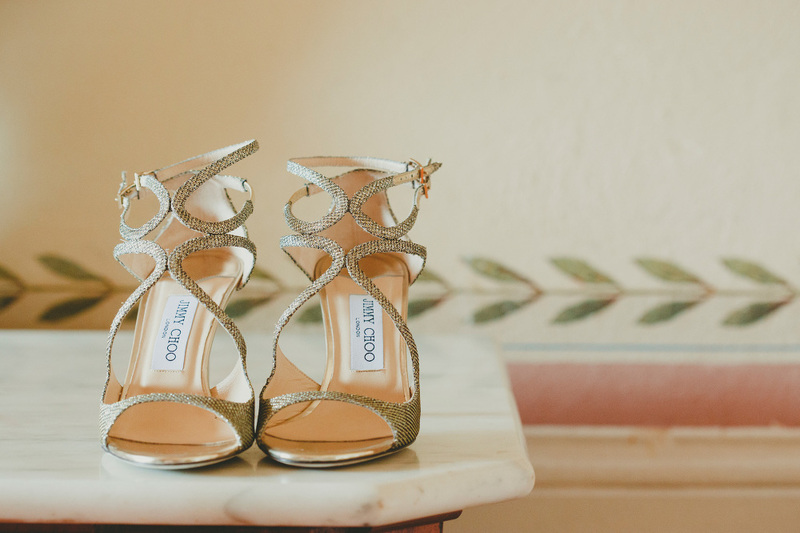 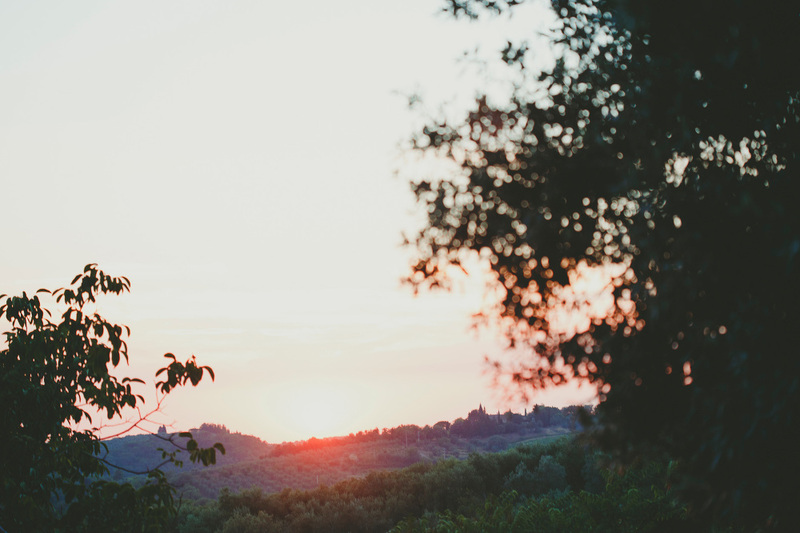 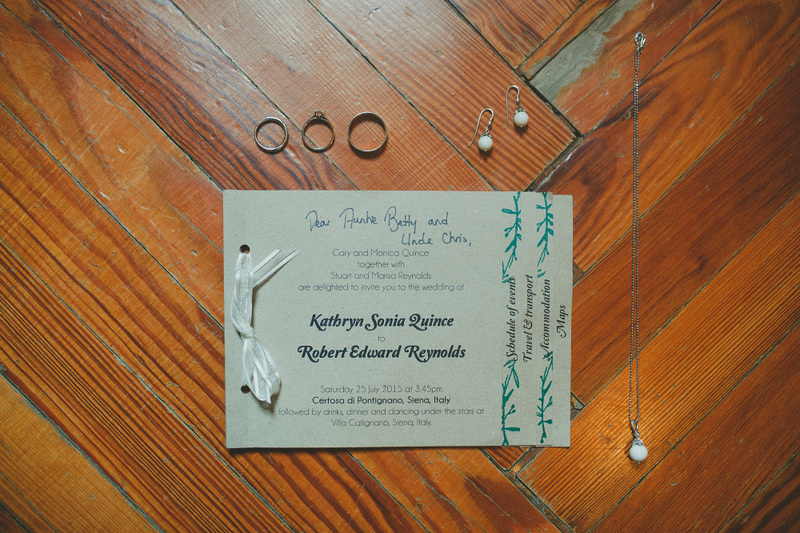 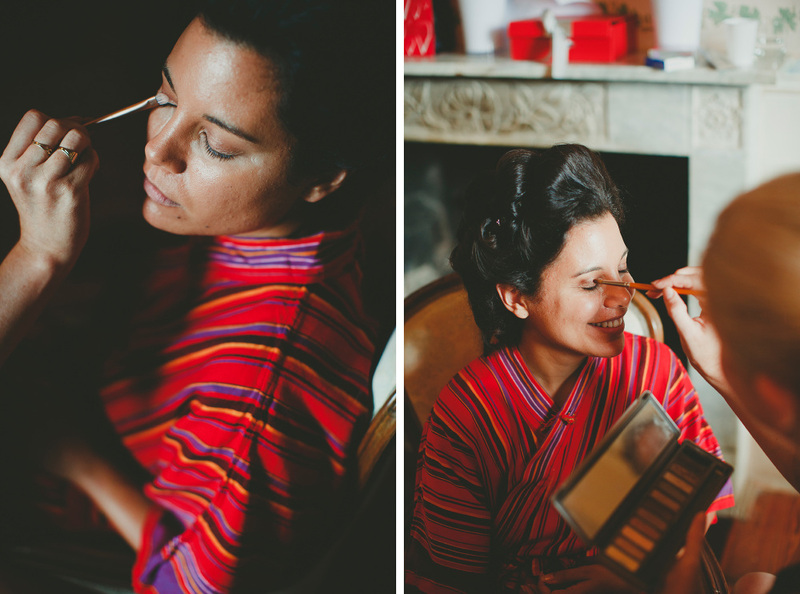 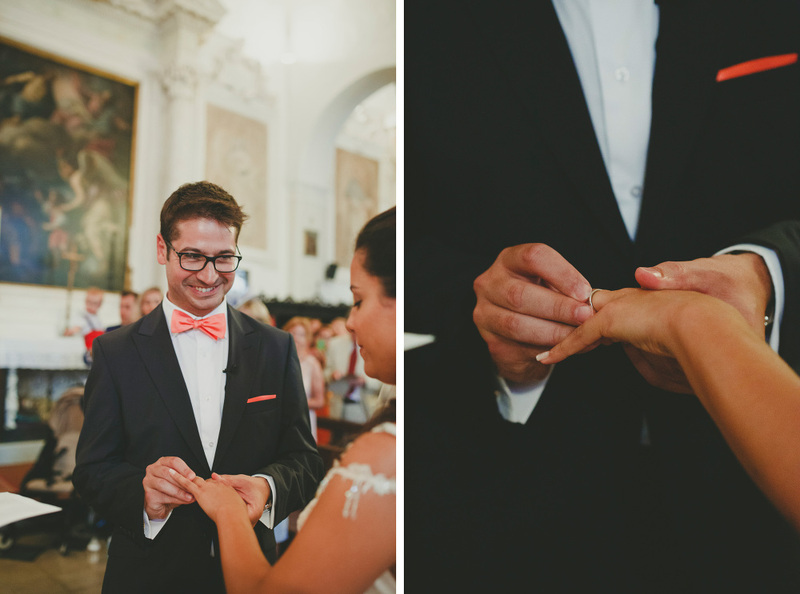 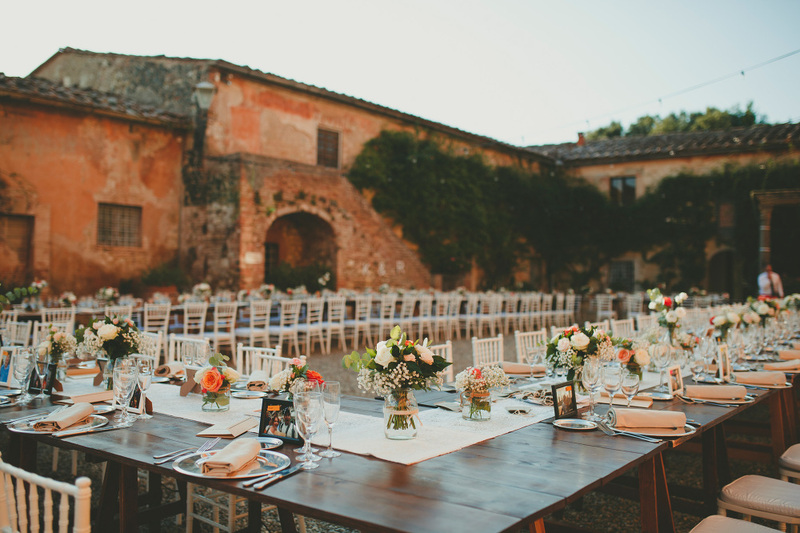 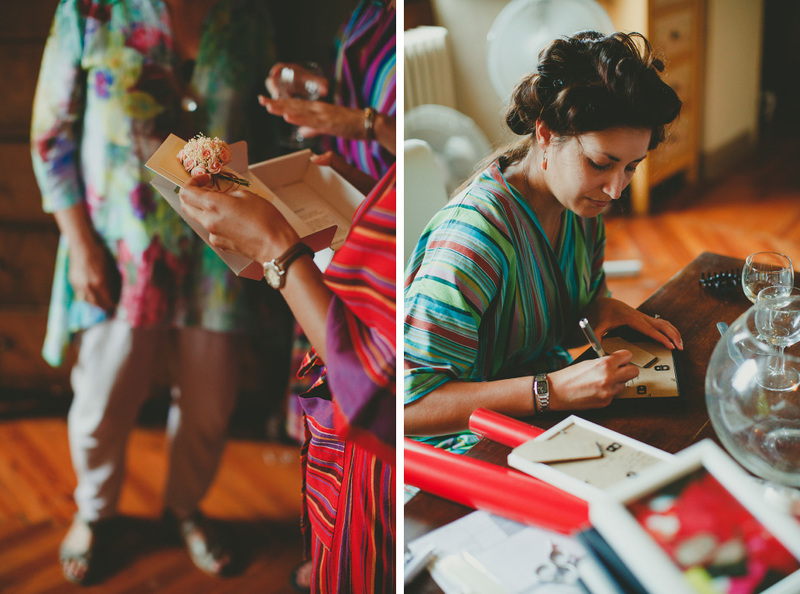 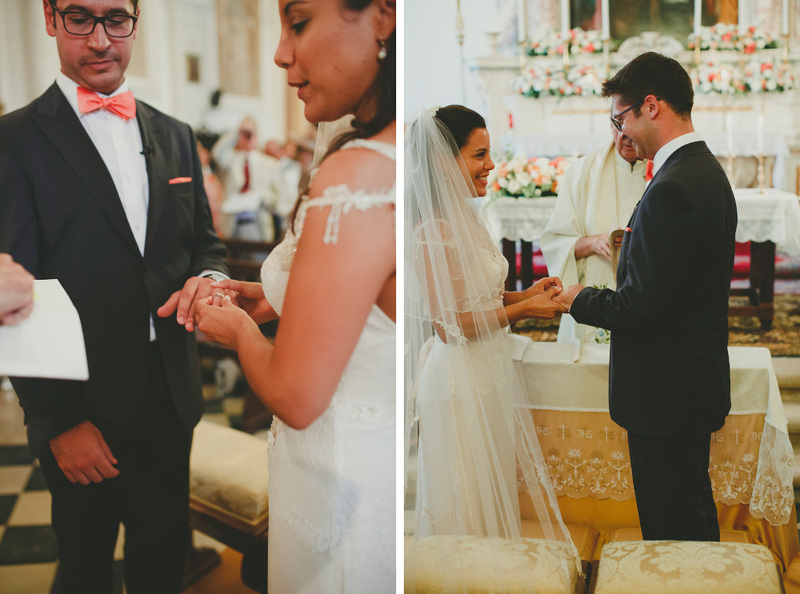 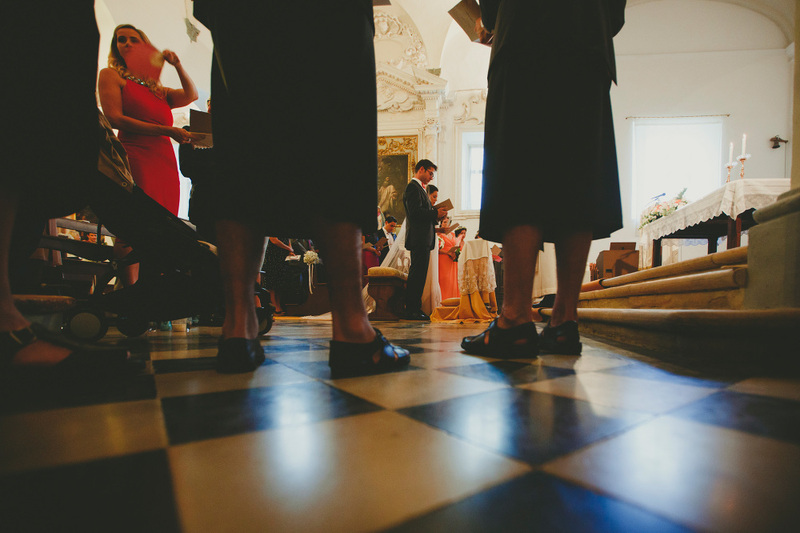 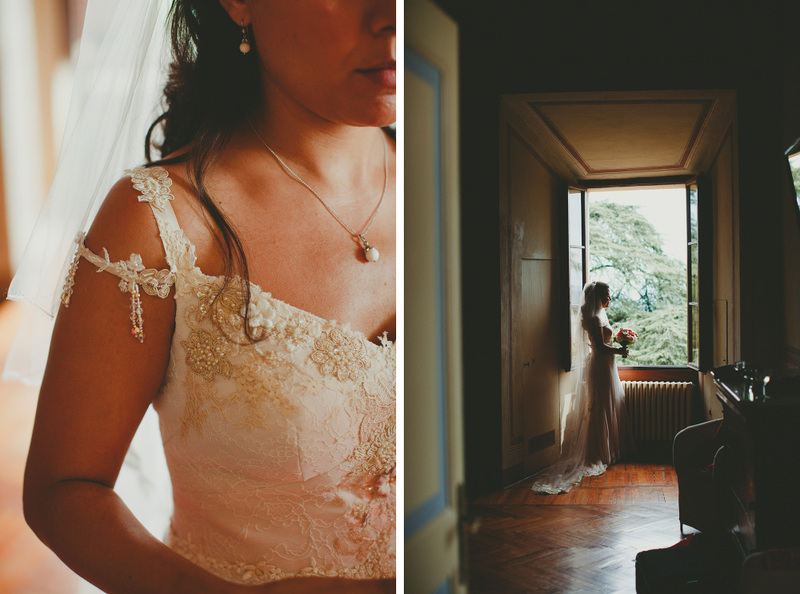 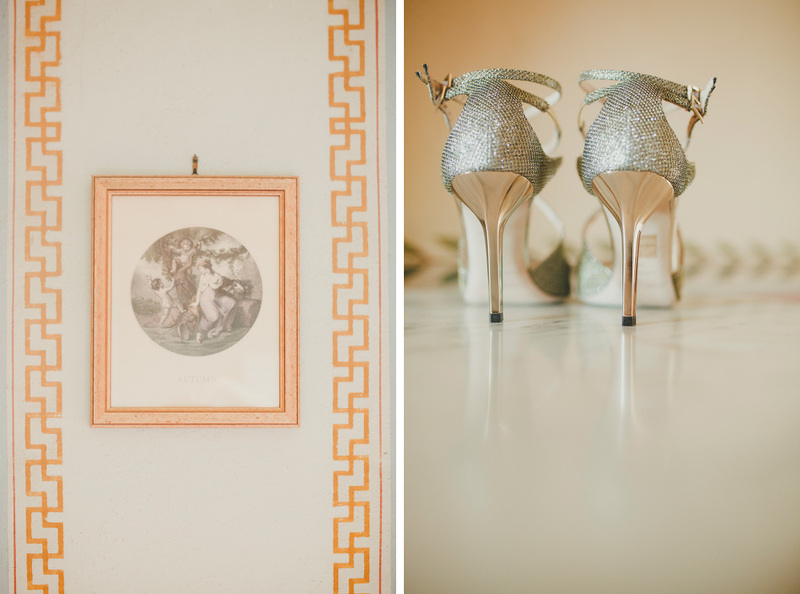 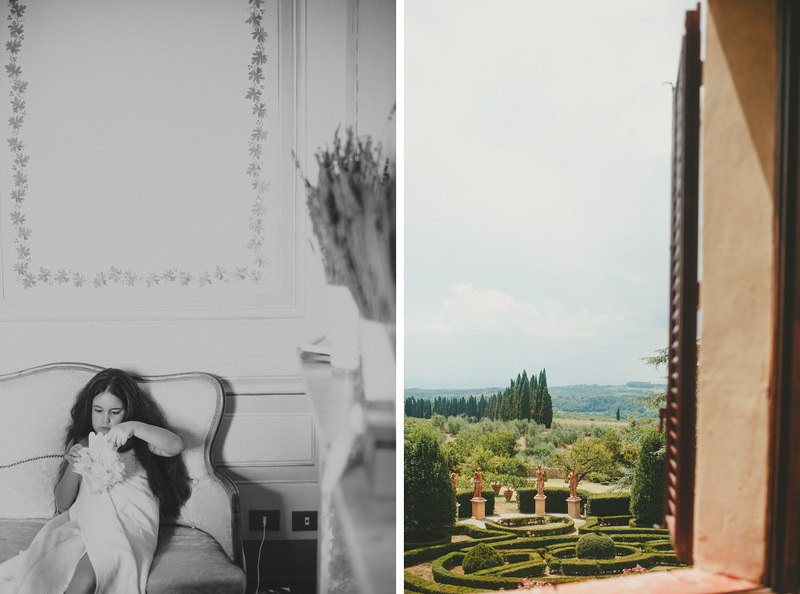 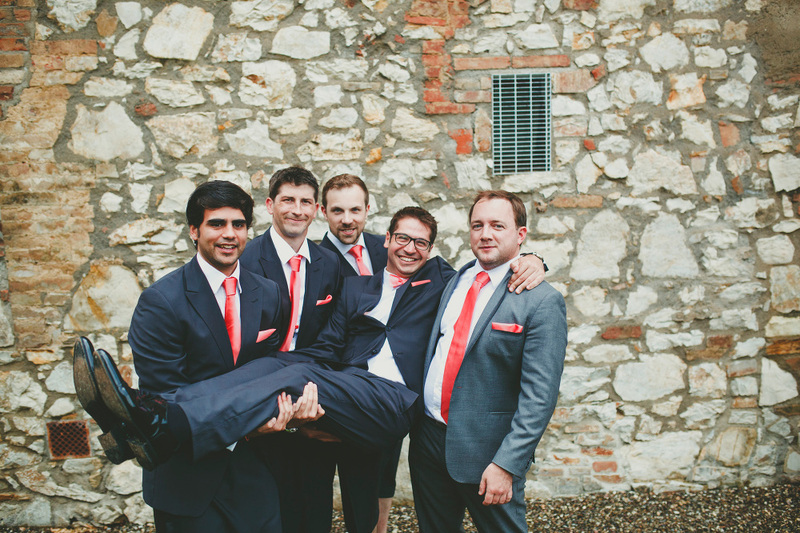 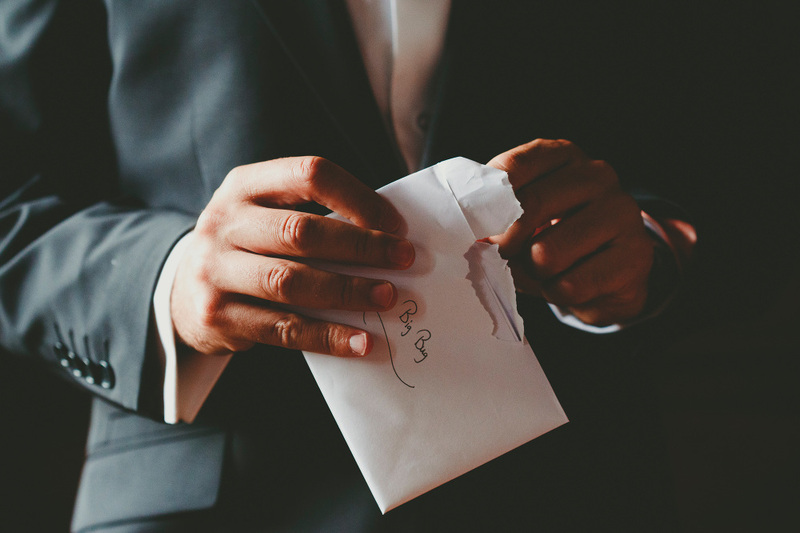 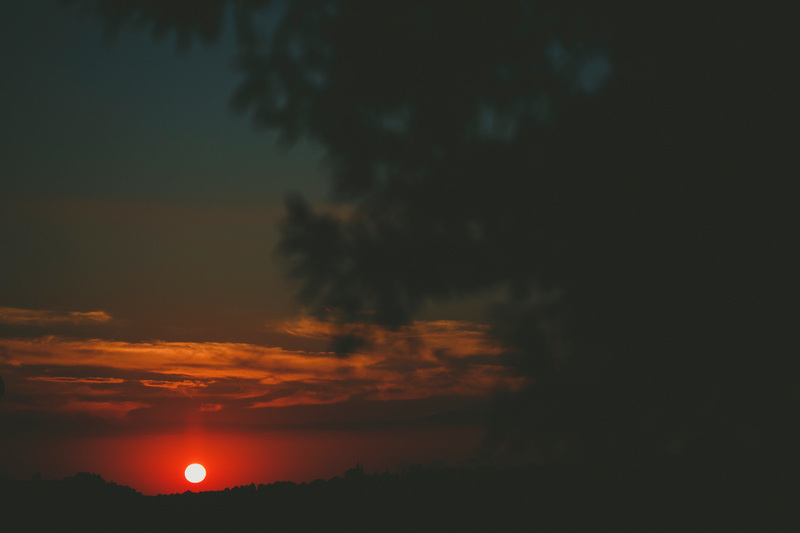 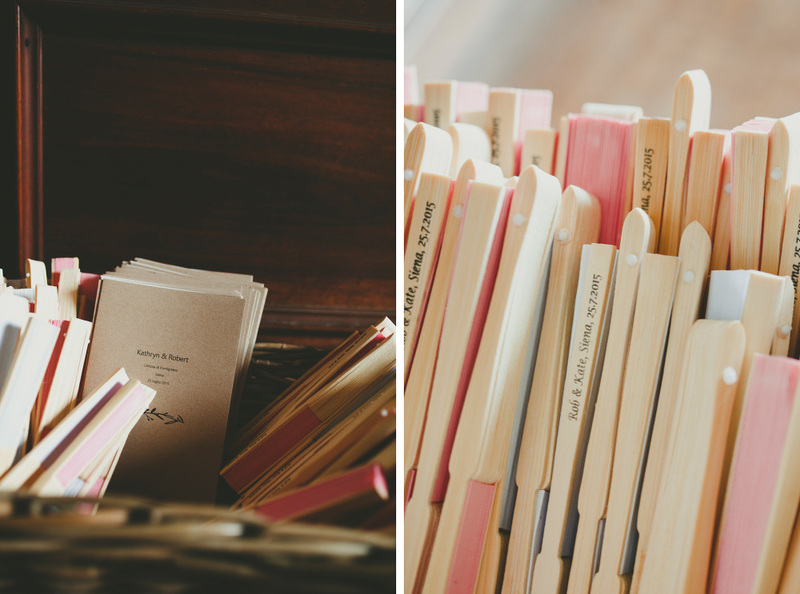 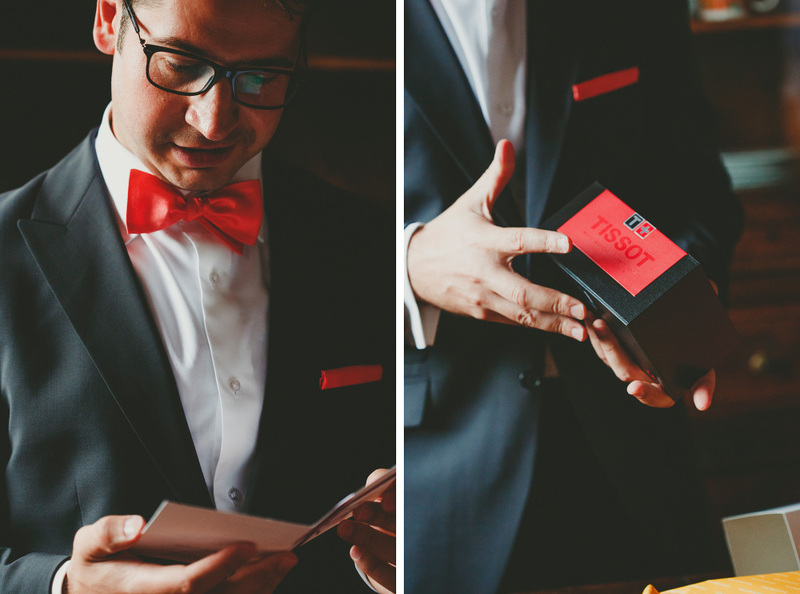 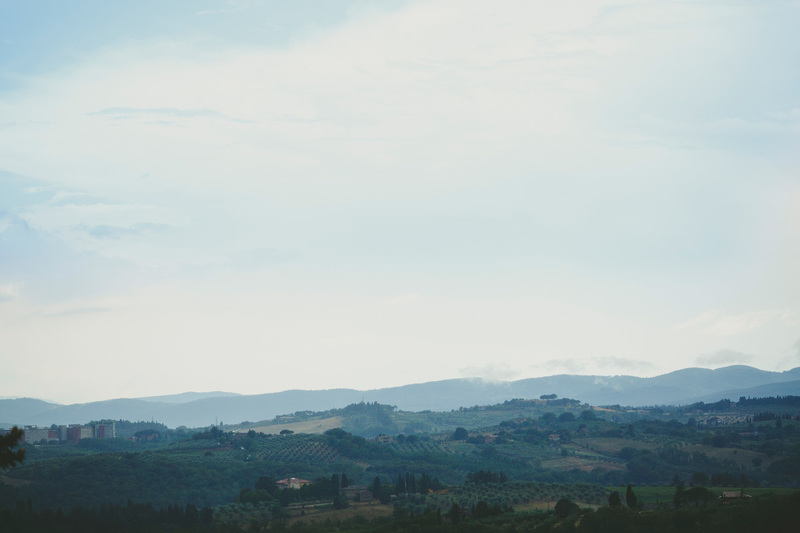 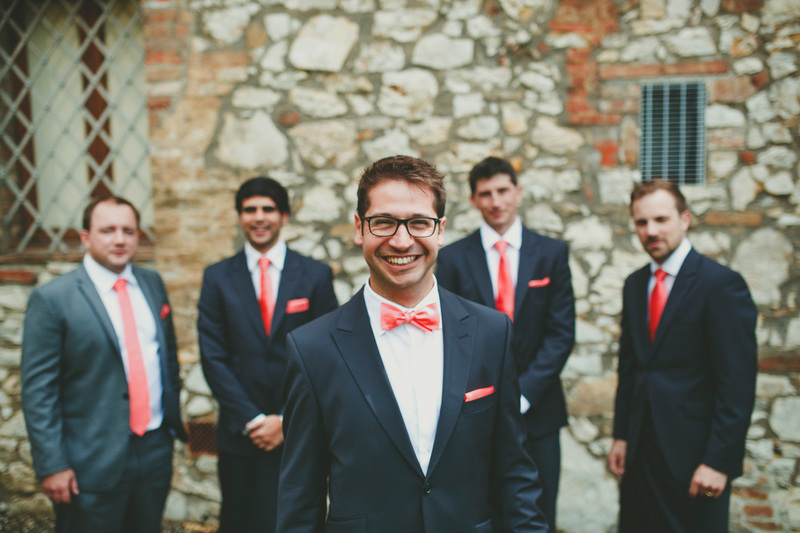 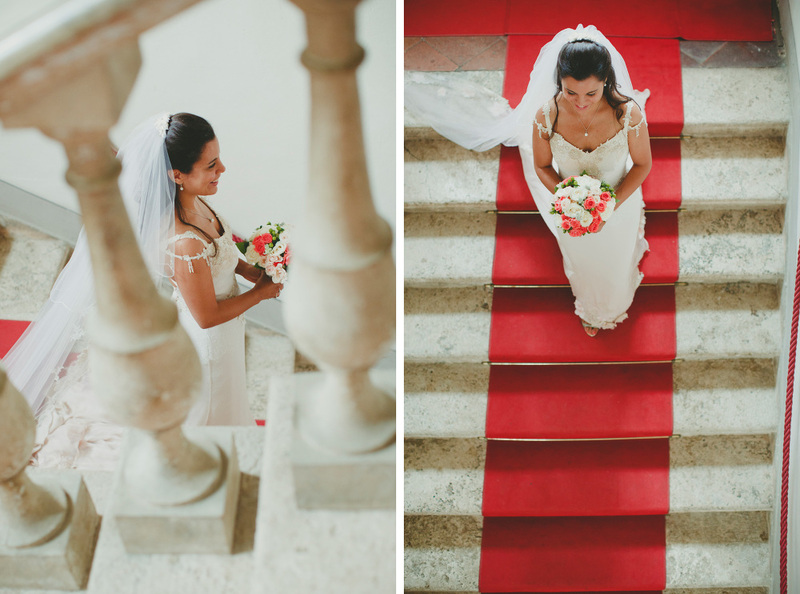 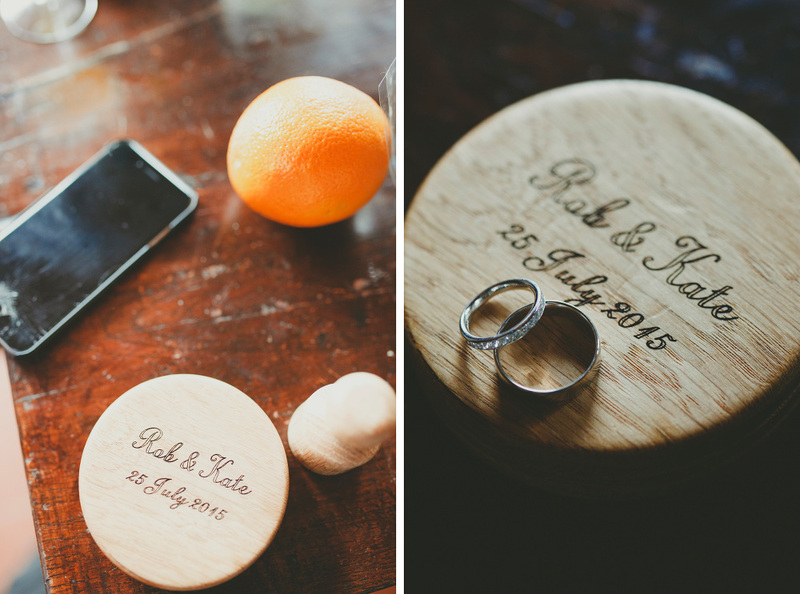 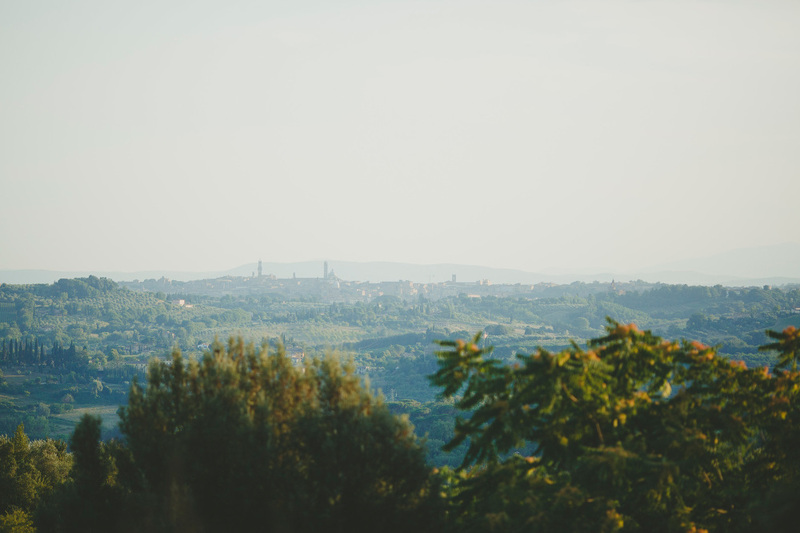 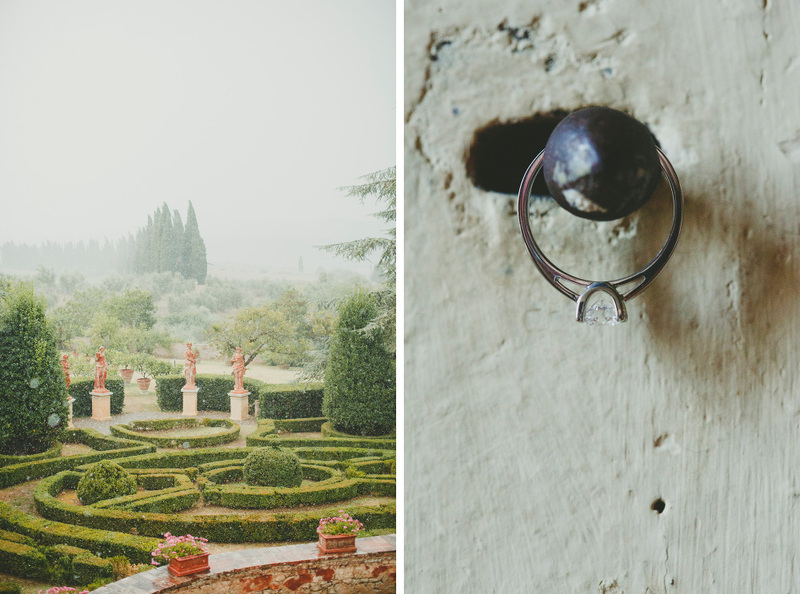 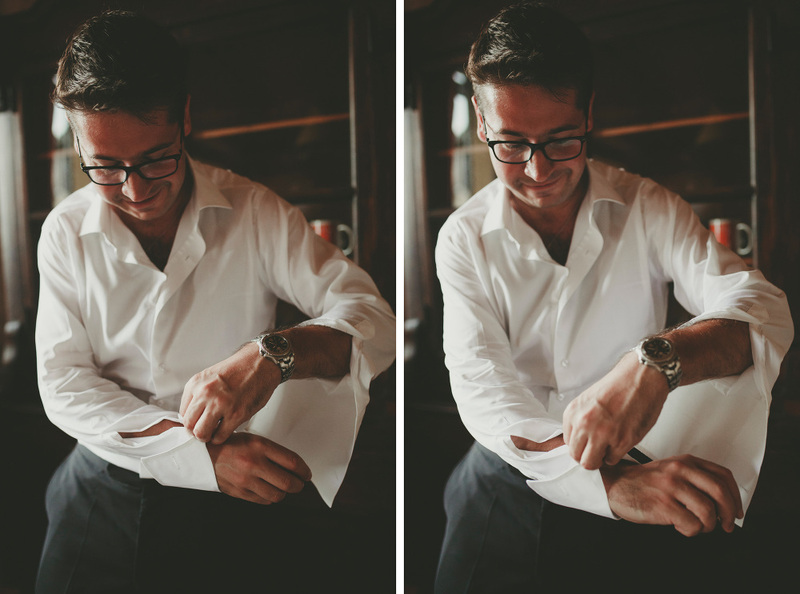 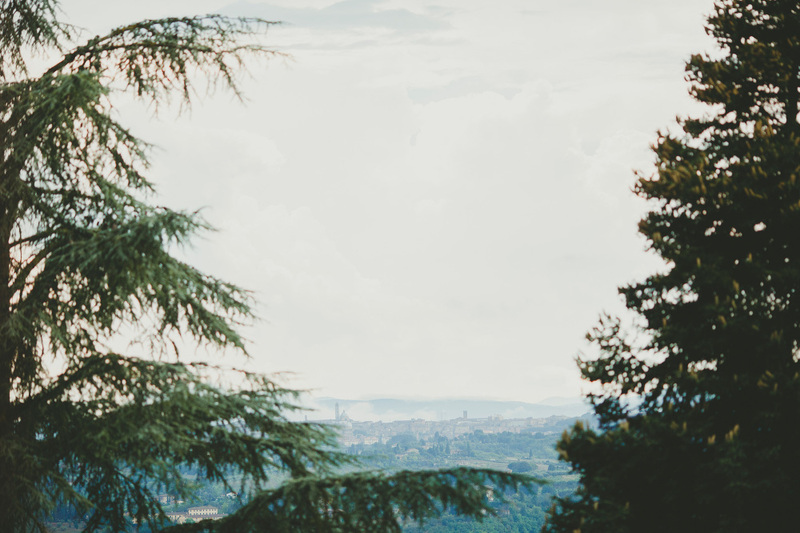 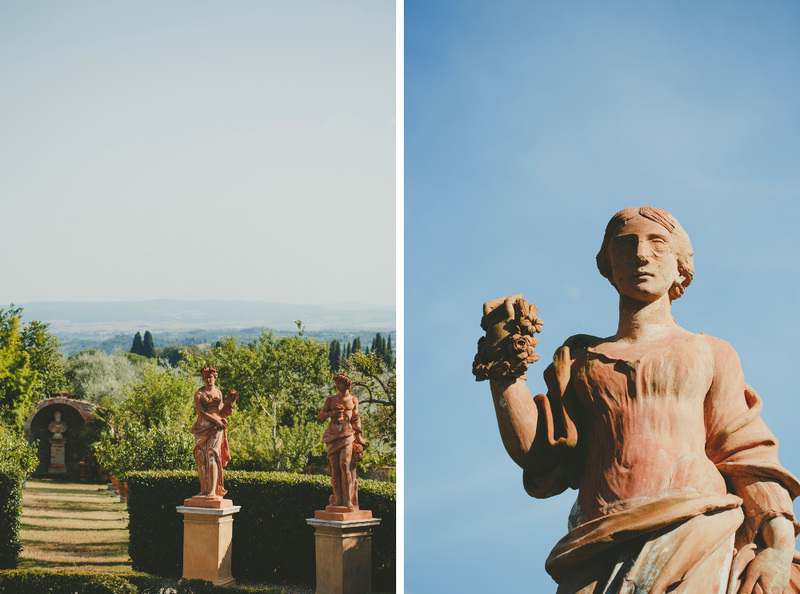 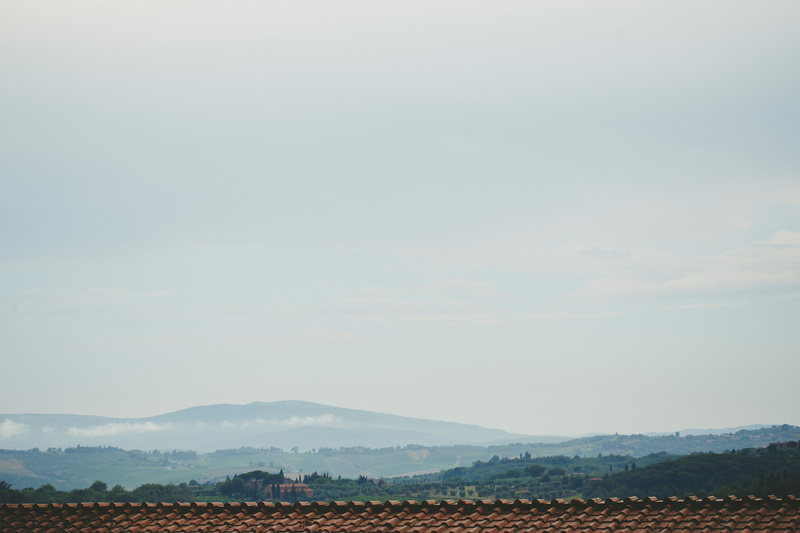 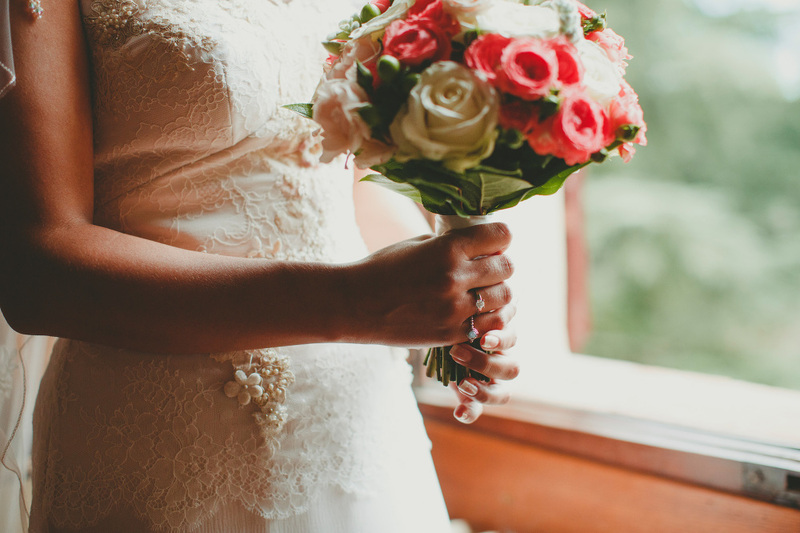 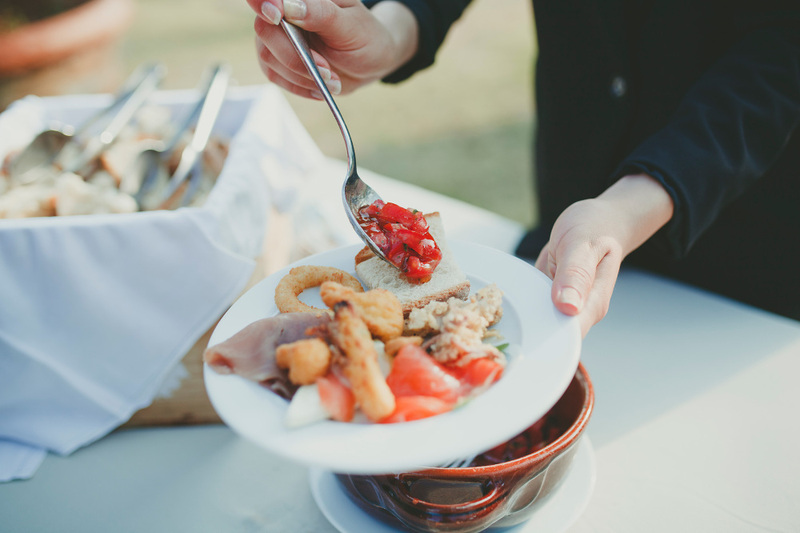 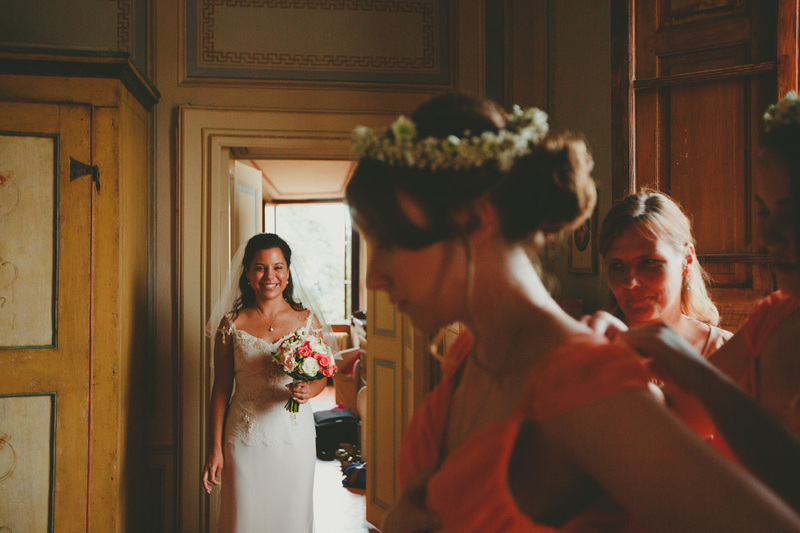 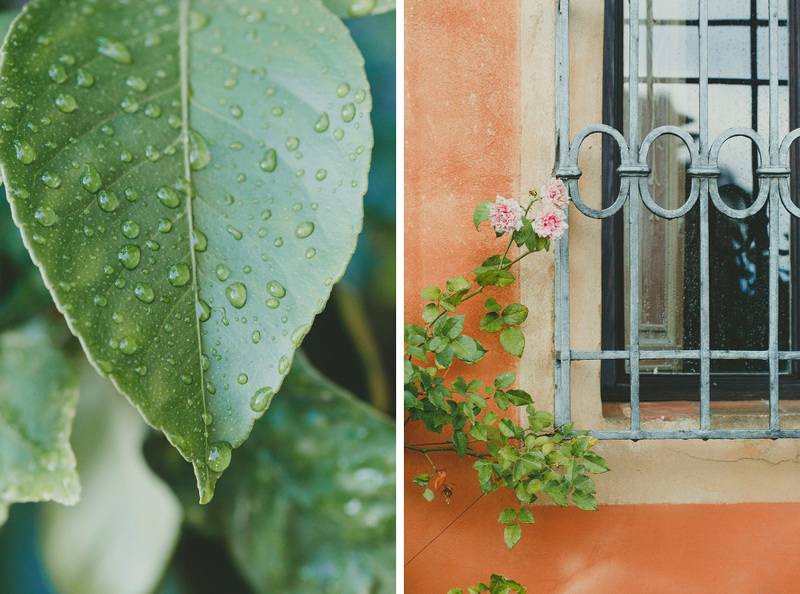 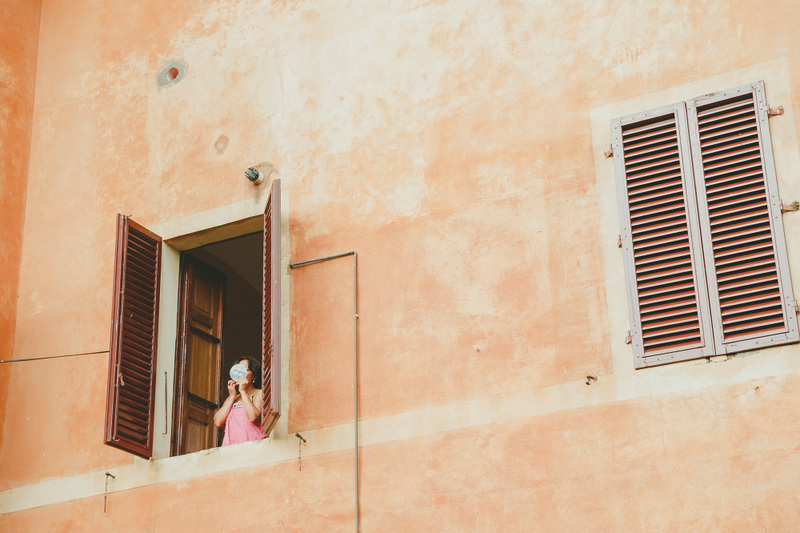 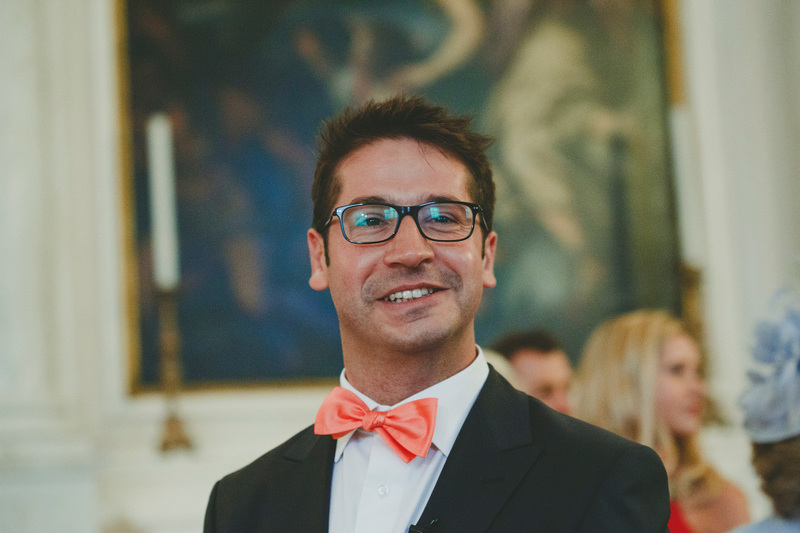 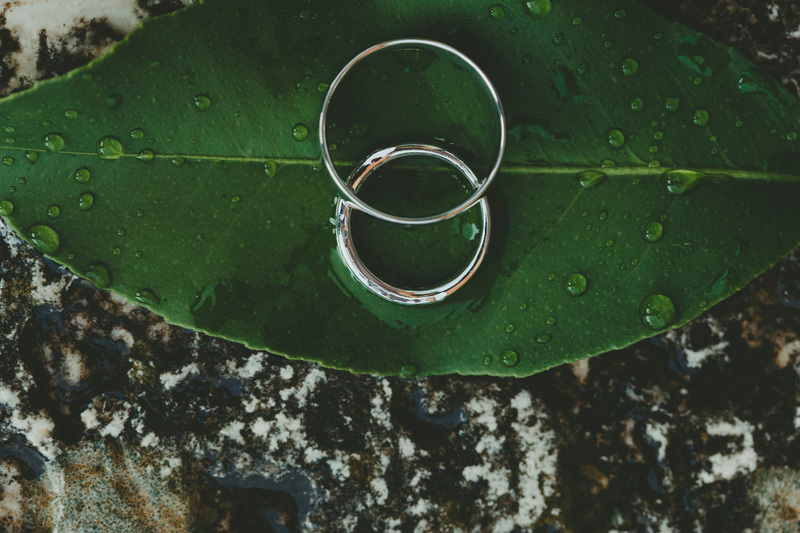 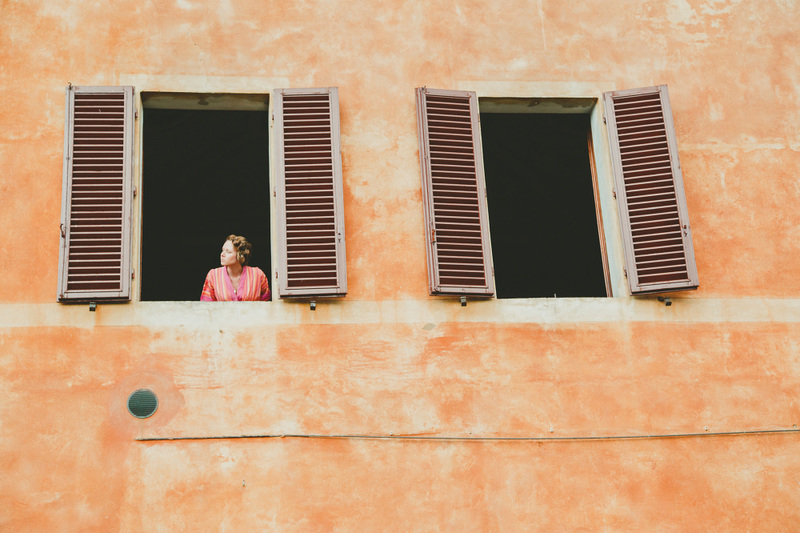 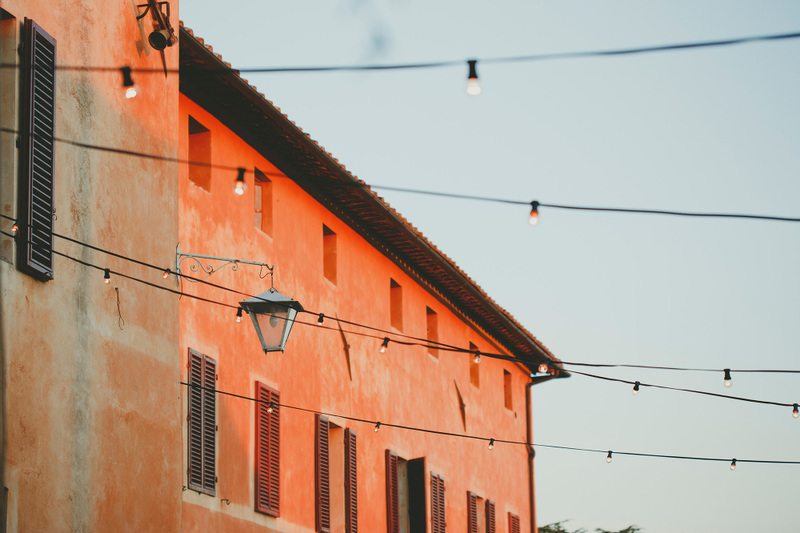 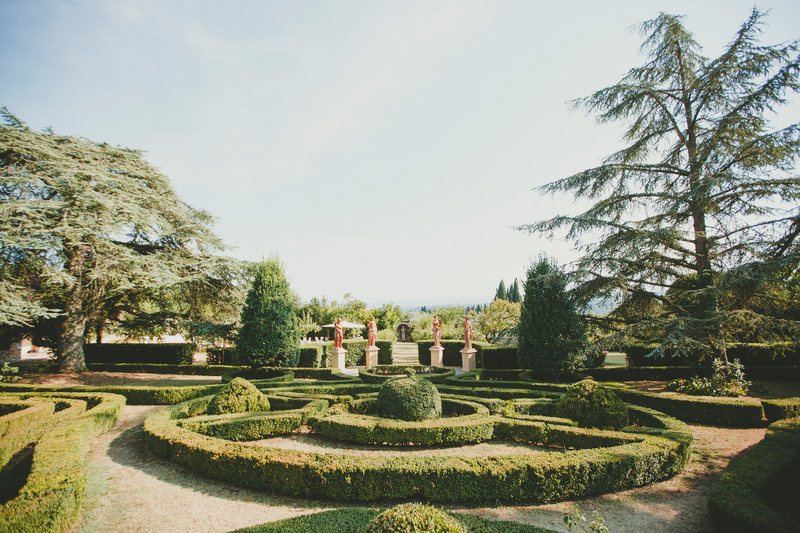 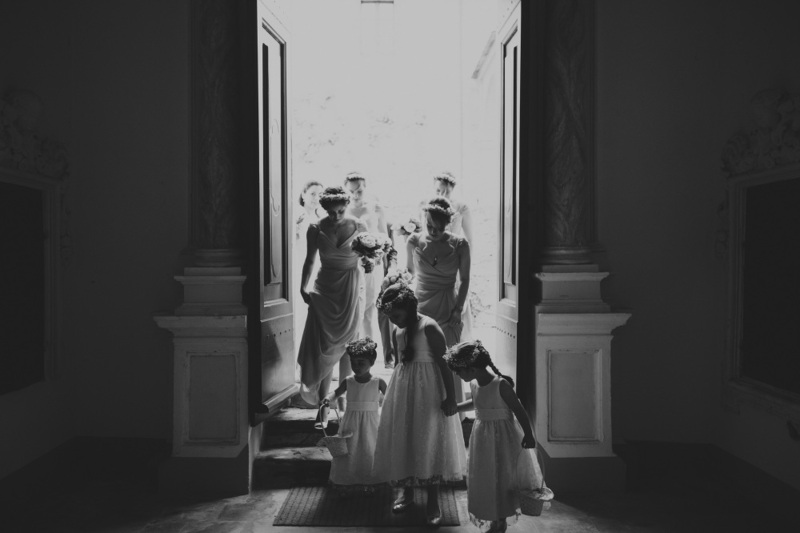 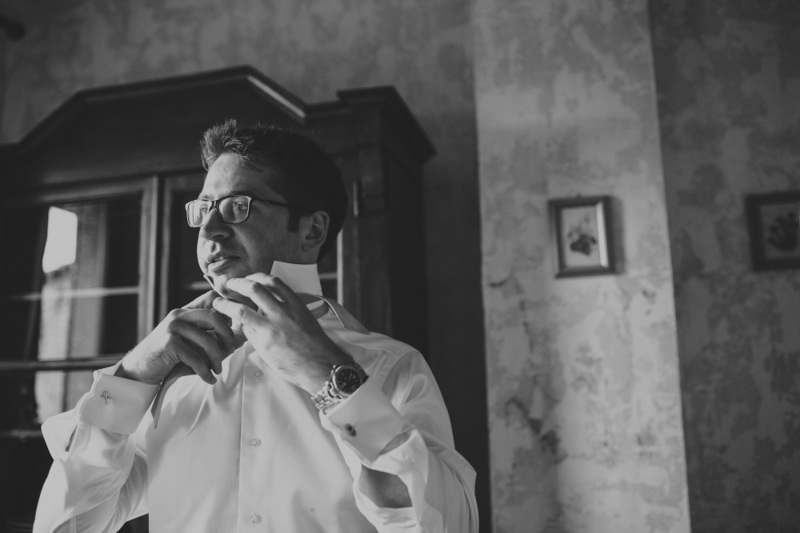 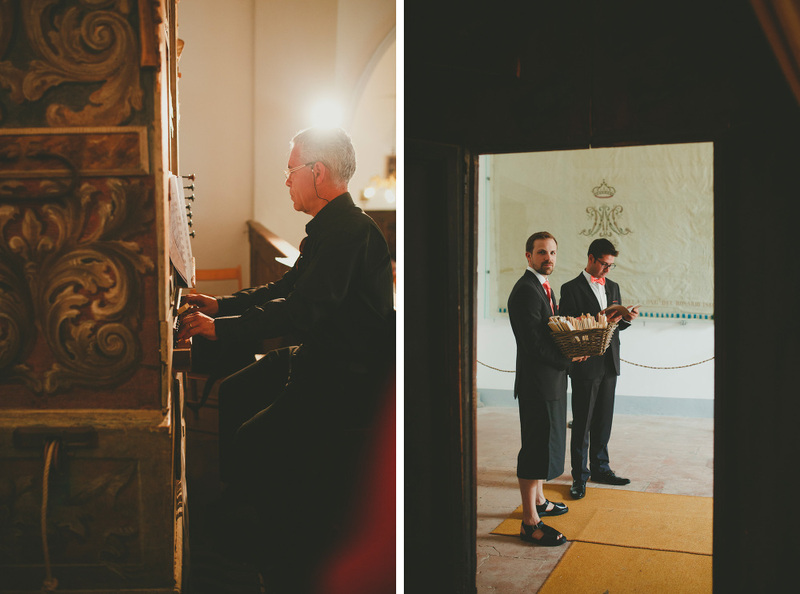 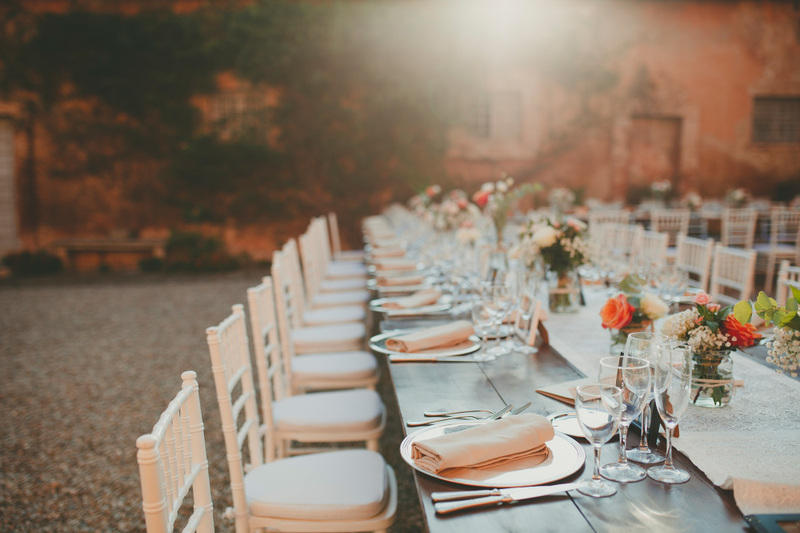 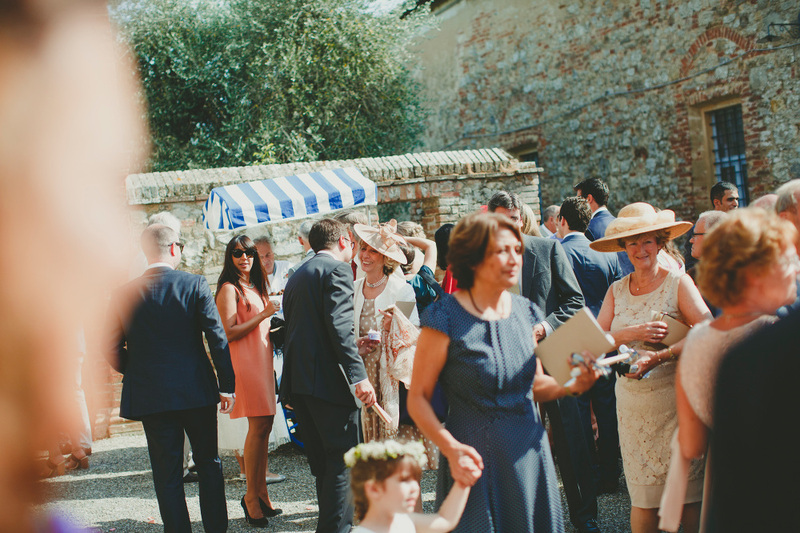 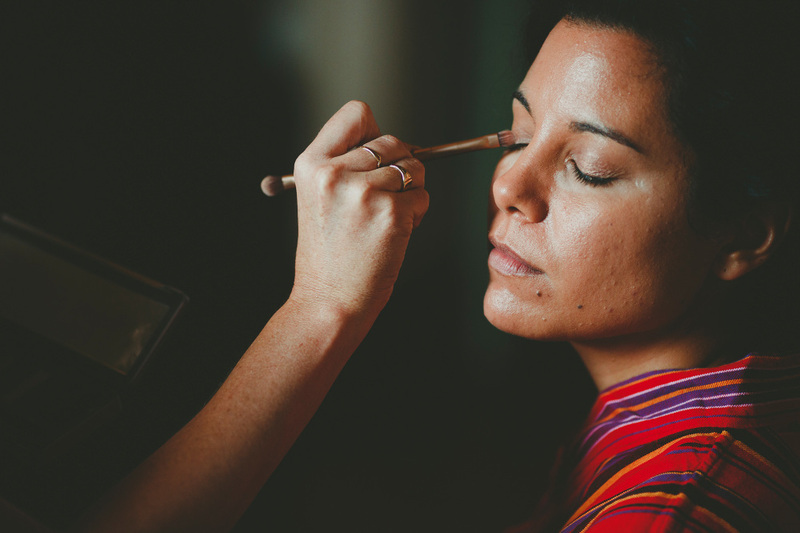 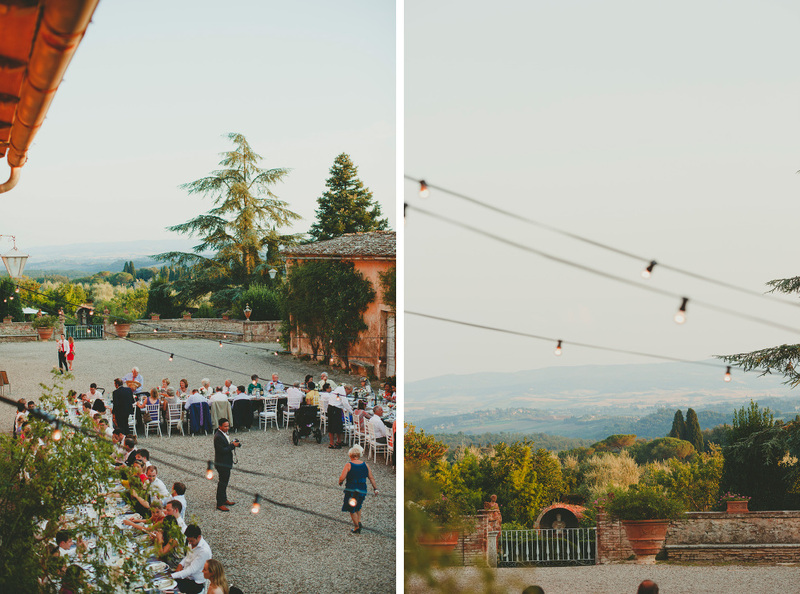 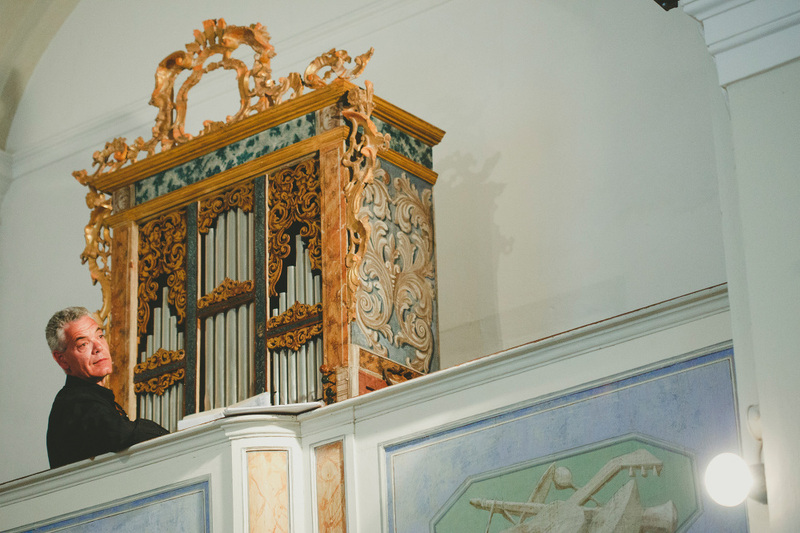 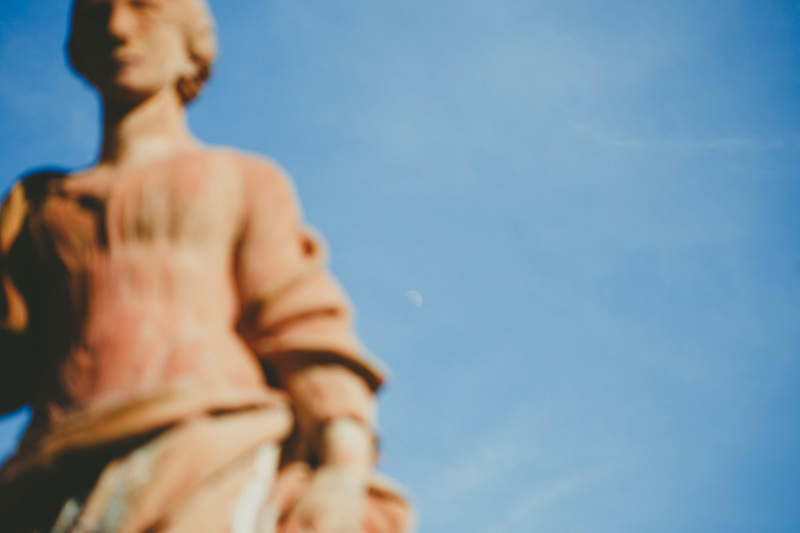 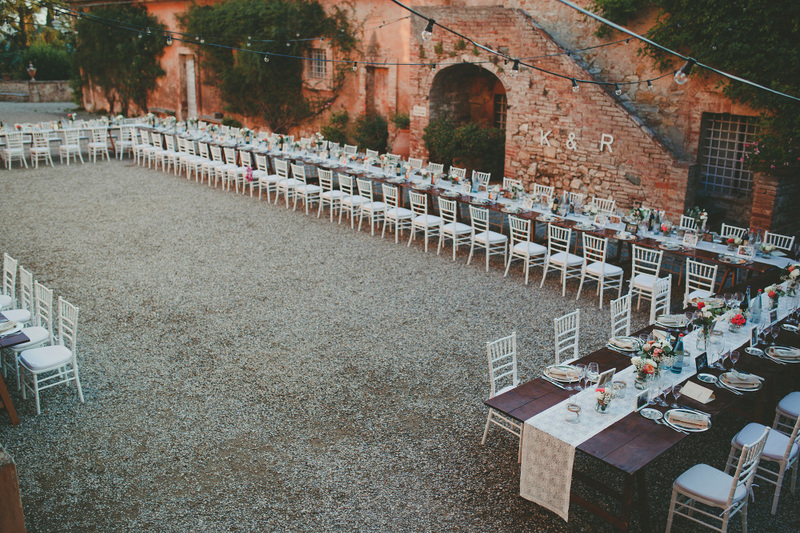 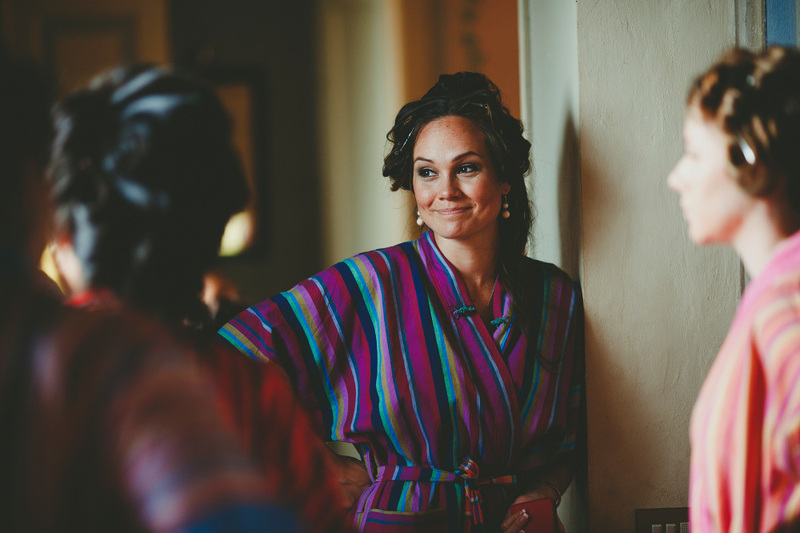 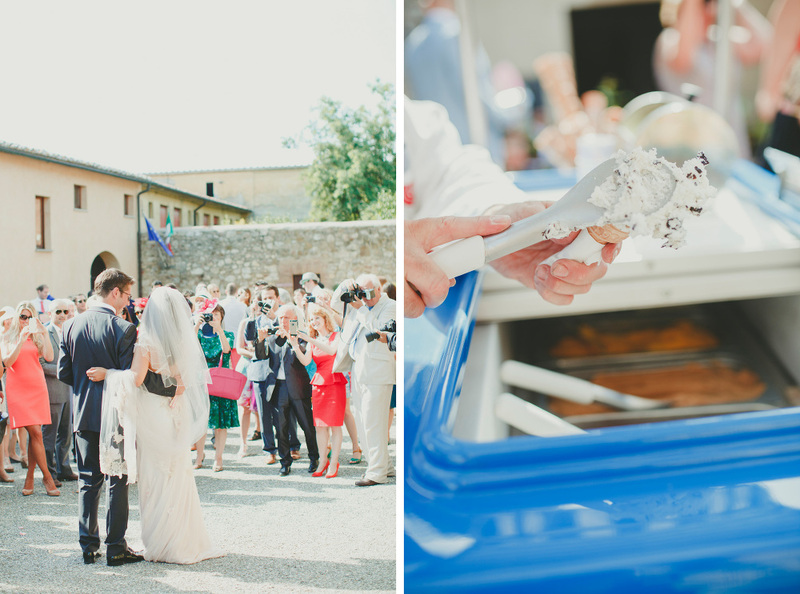 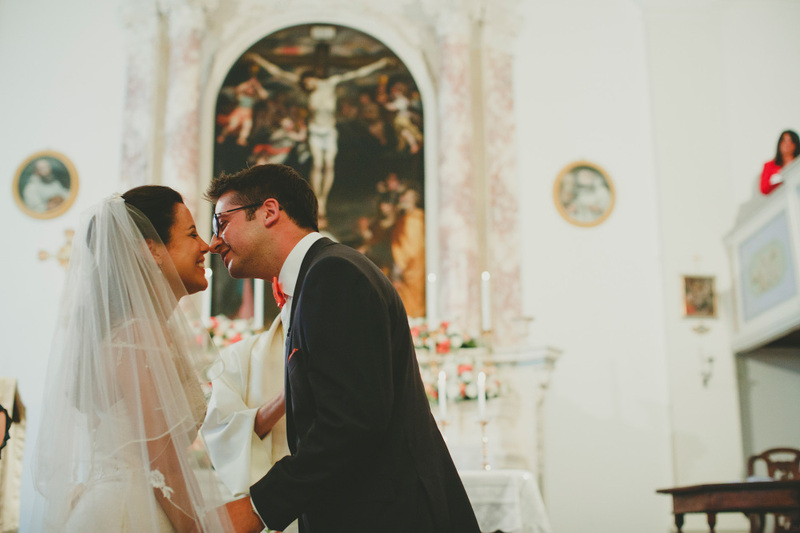 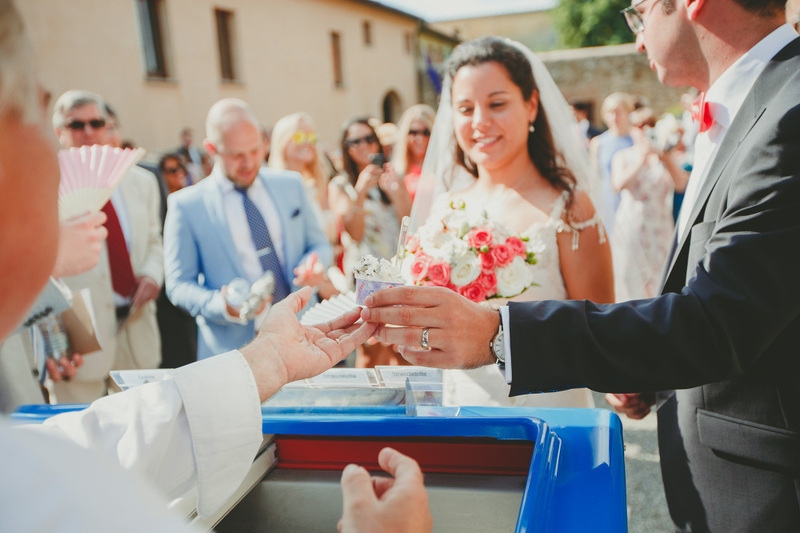 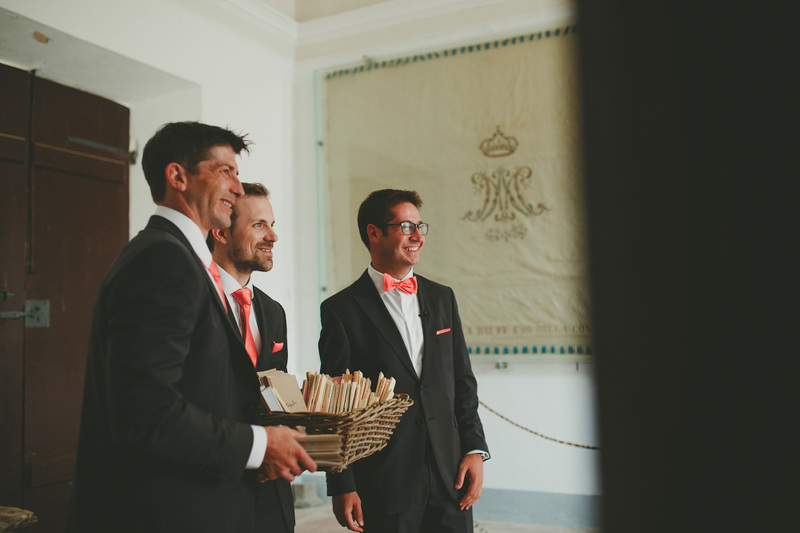 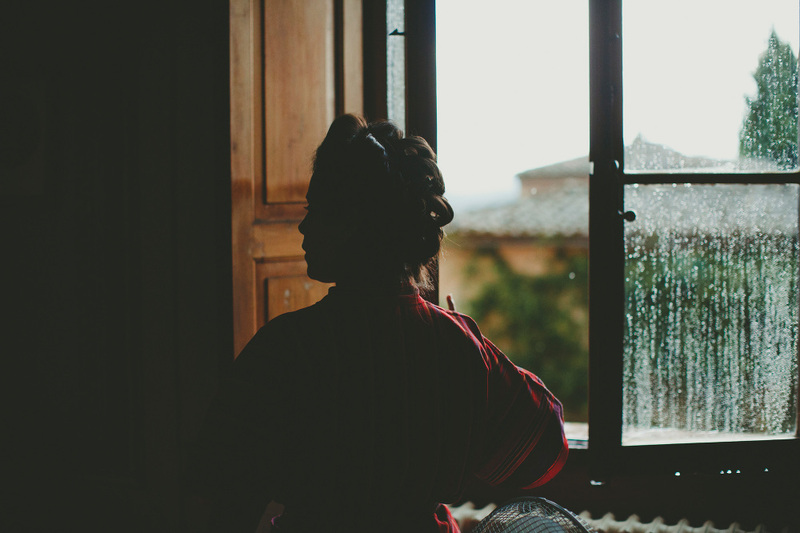 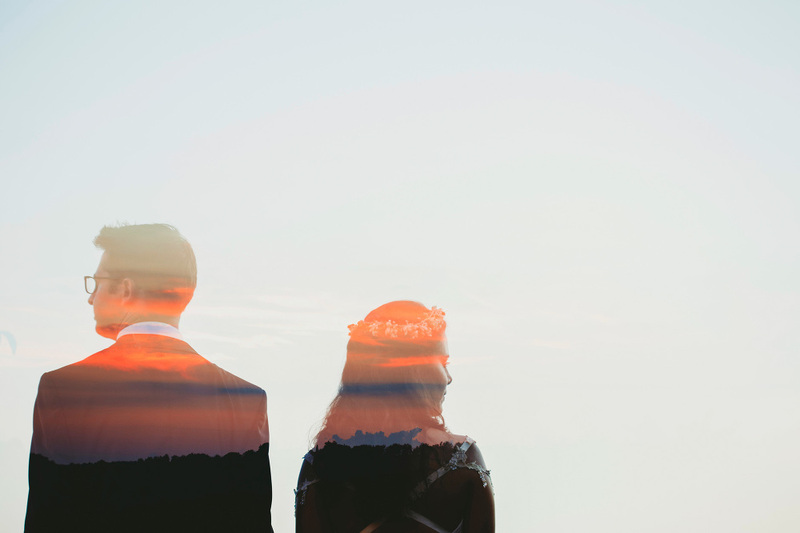 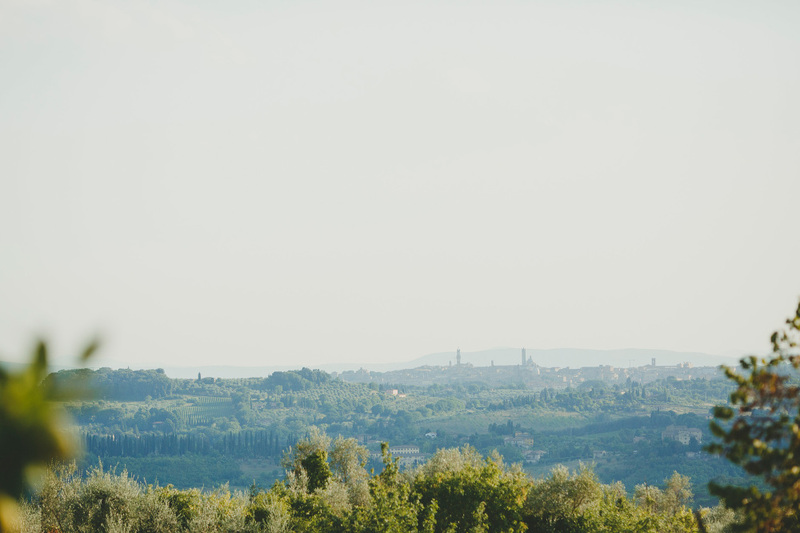 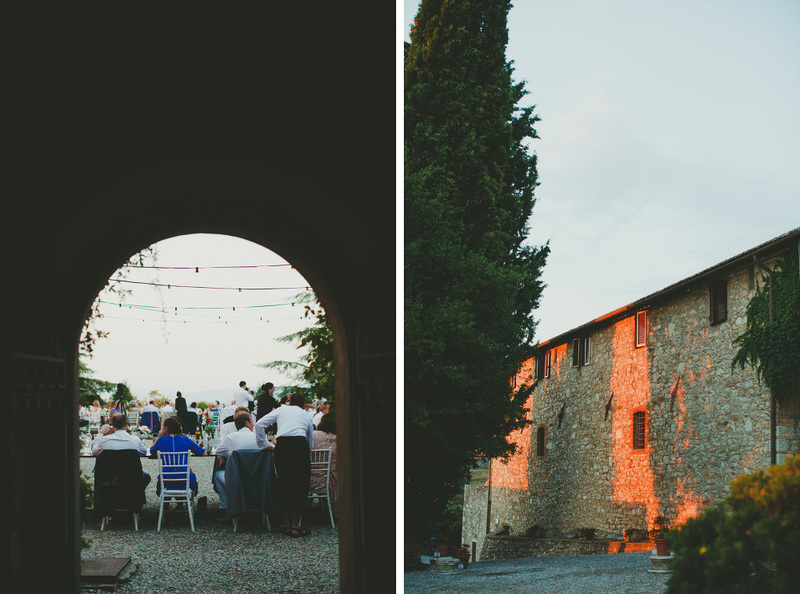 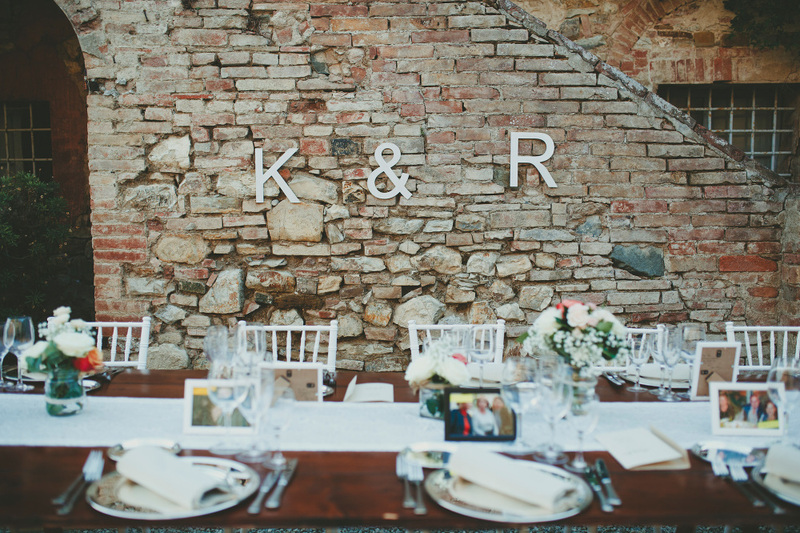 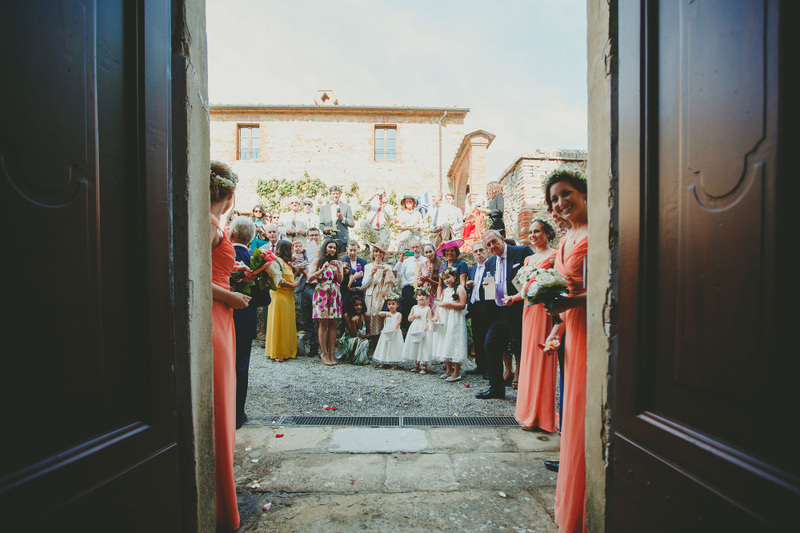 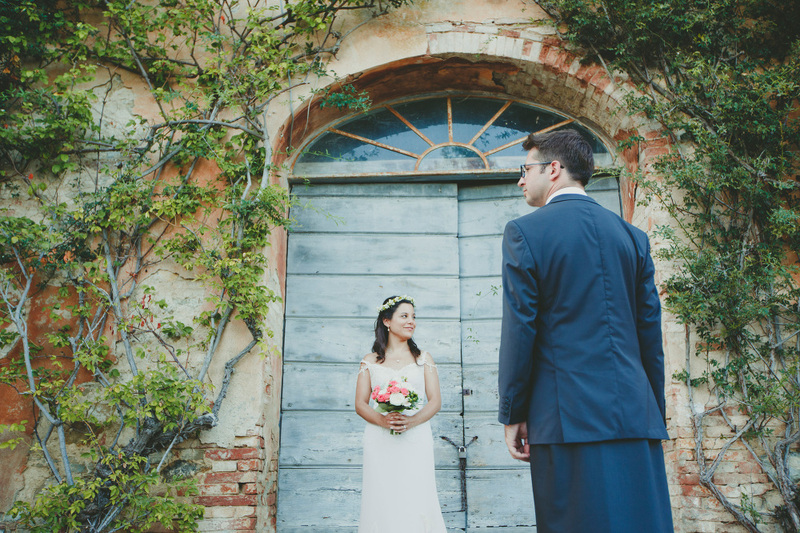 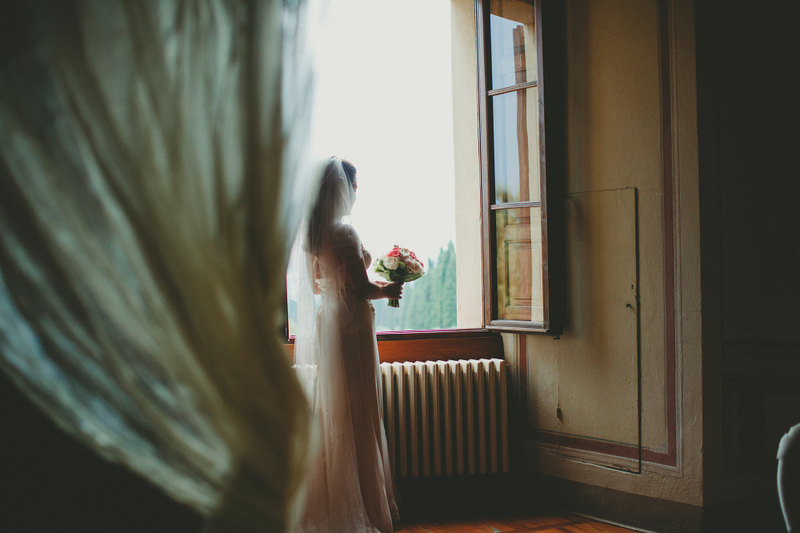 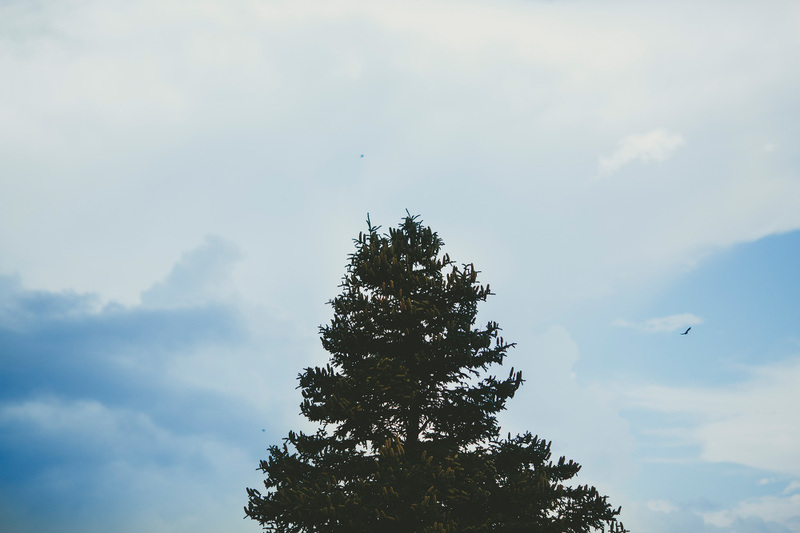 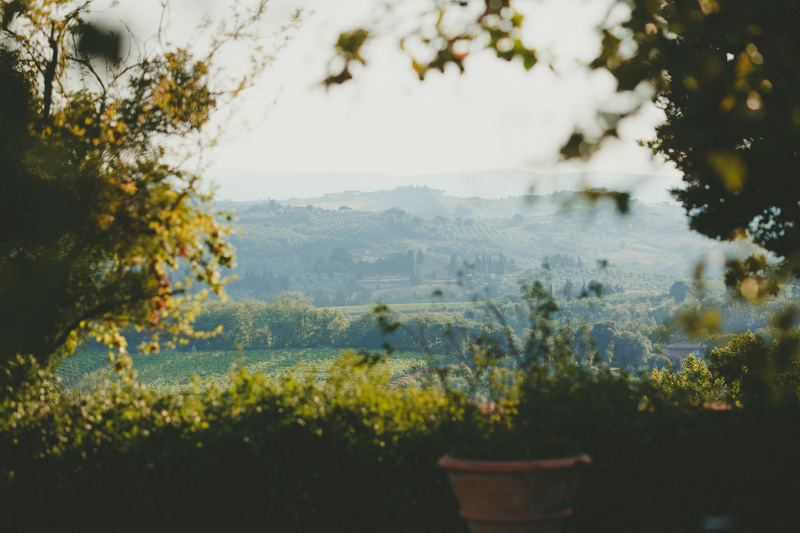 Katie and Rob’s wedding in Villa Catignano, few kilometres far from the medieval city of Siena, had one of the characteristic we love the most in our work: they melted together different cultures. 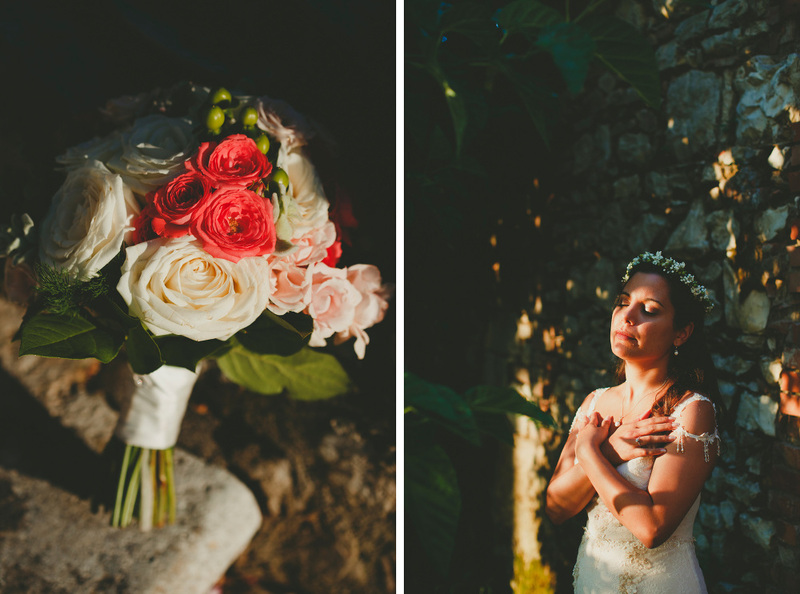 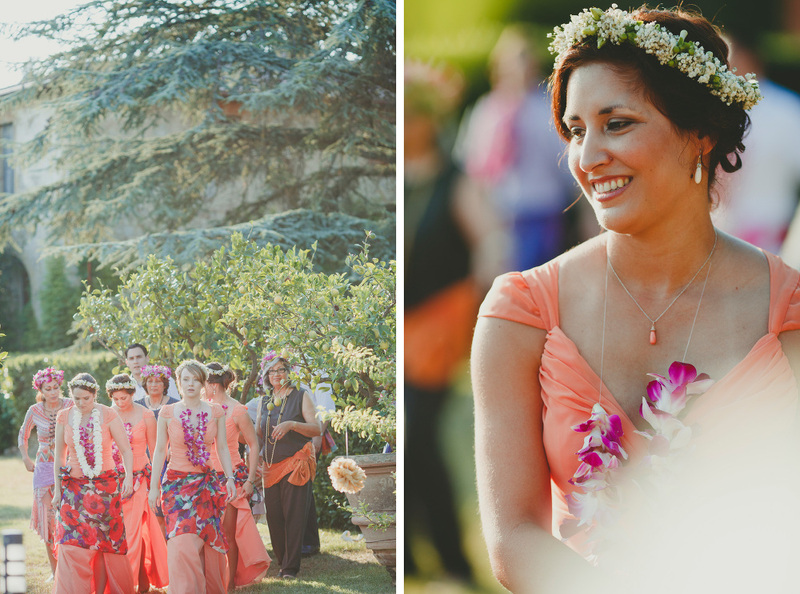 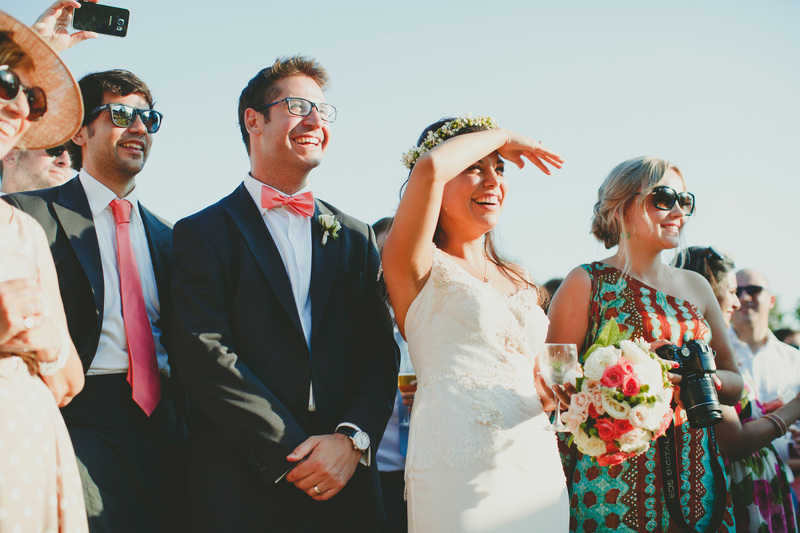 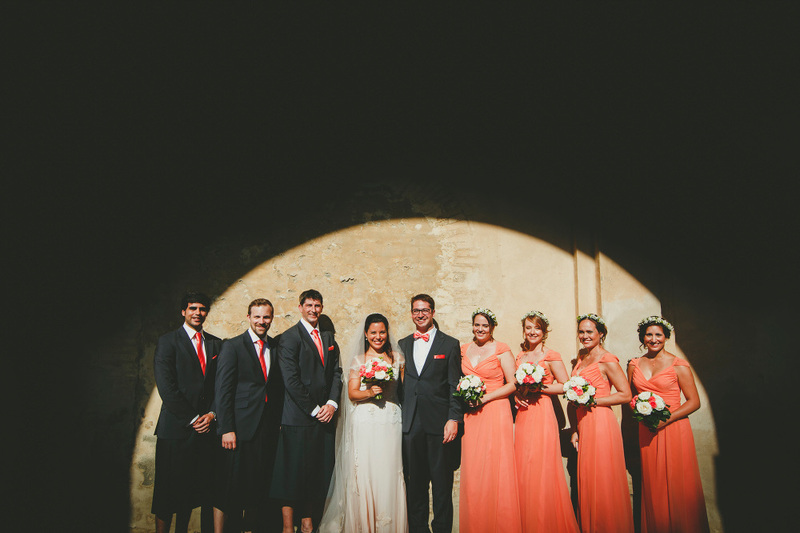 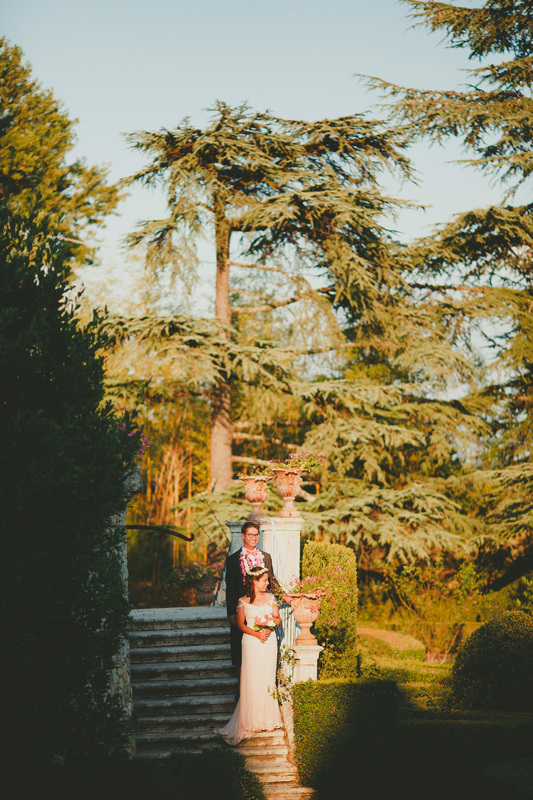 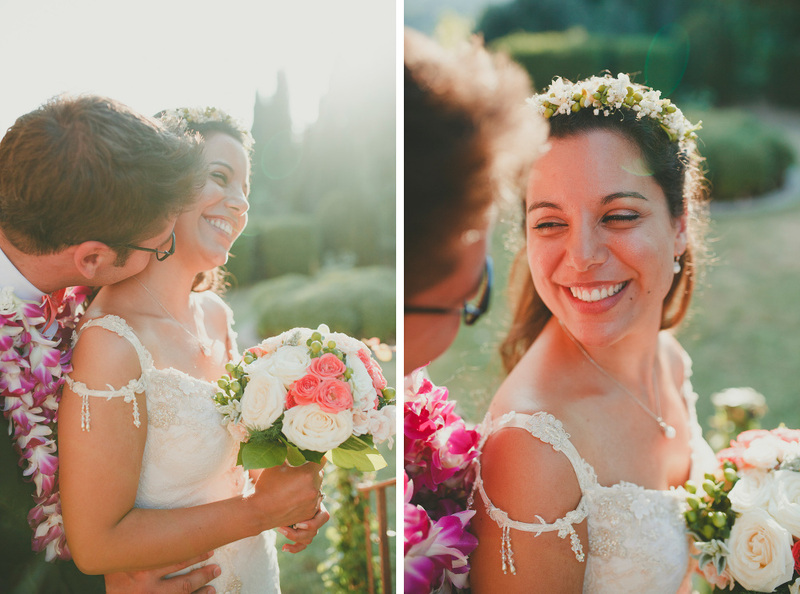 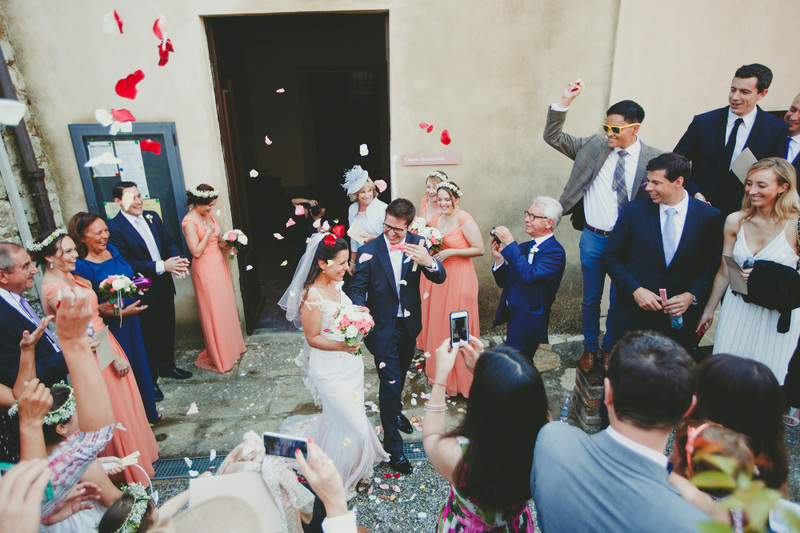 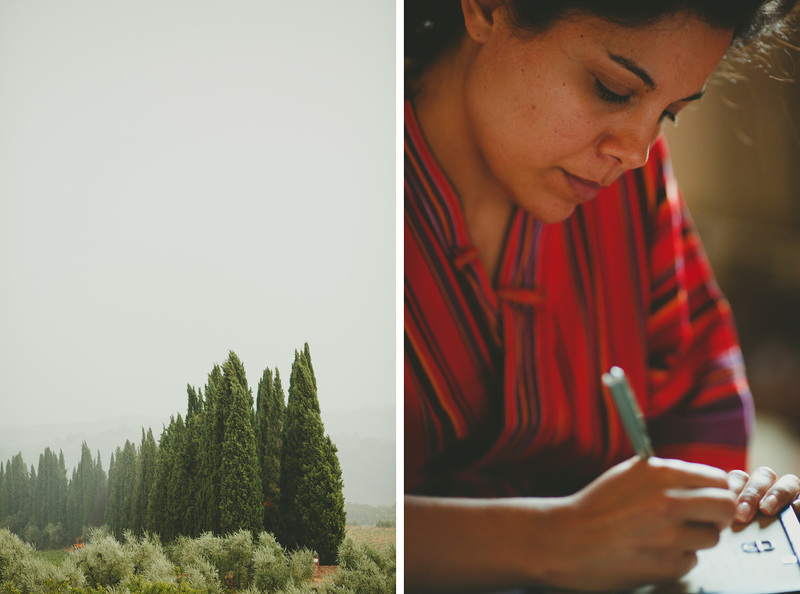 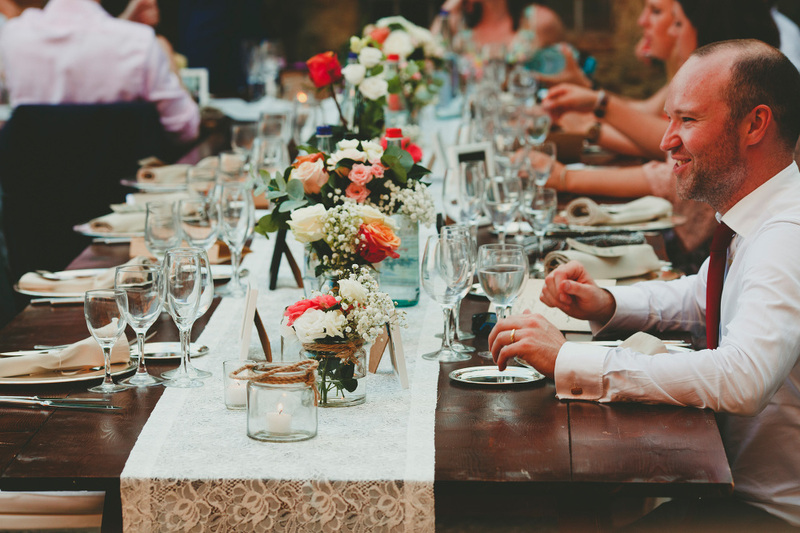 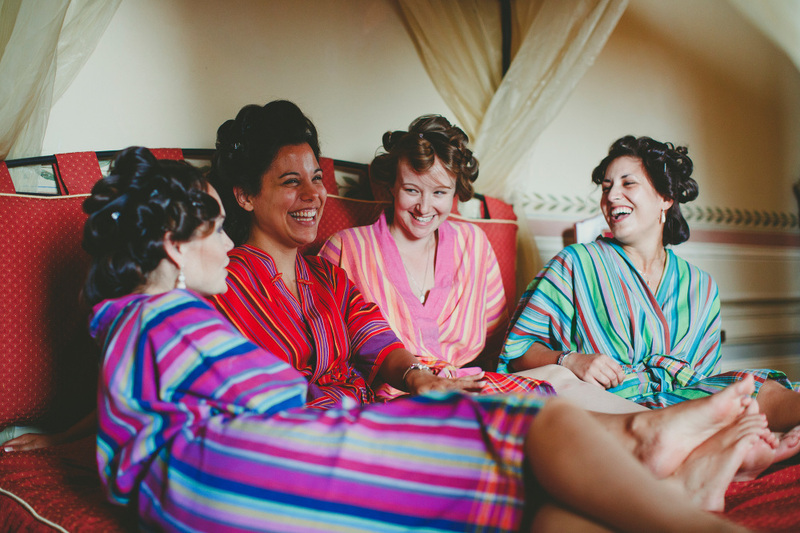 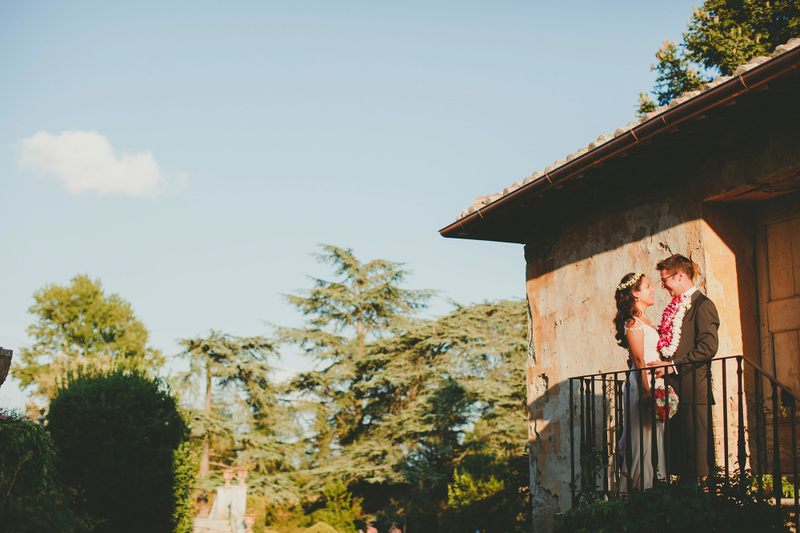 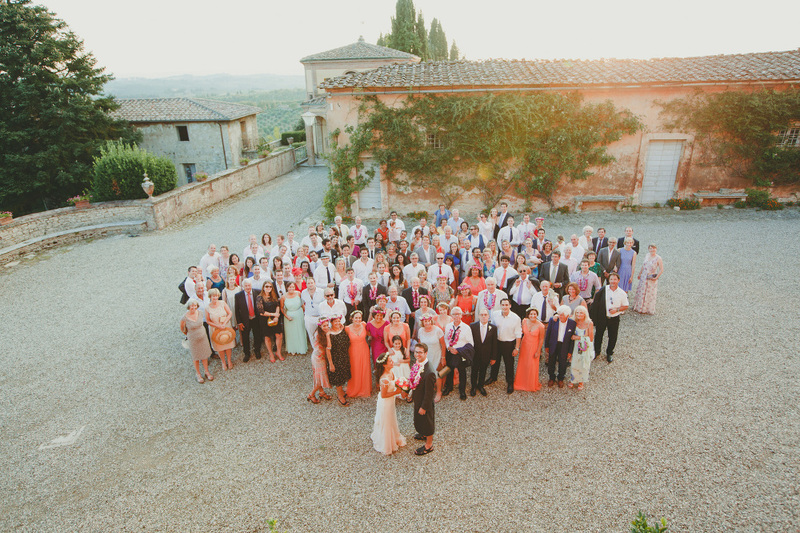 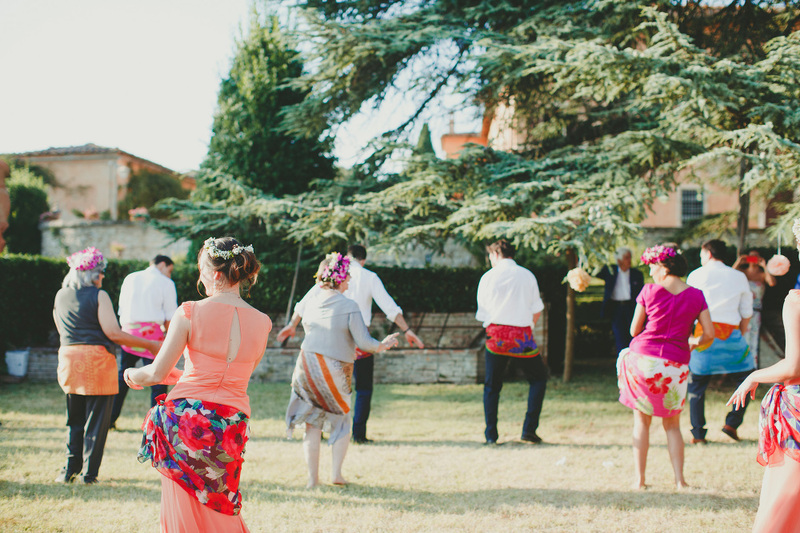 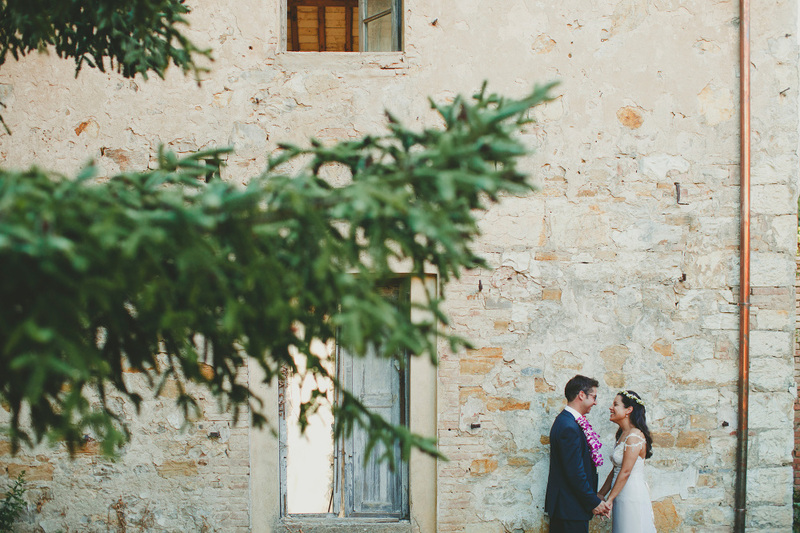 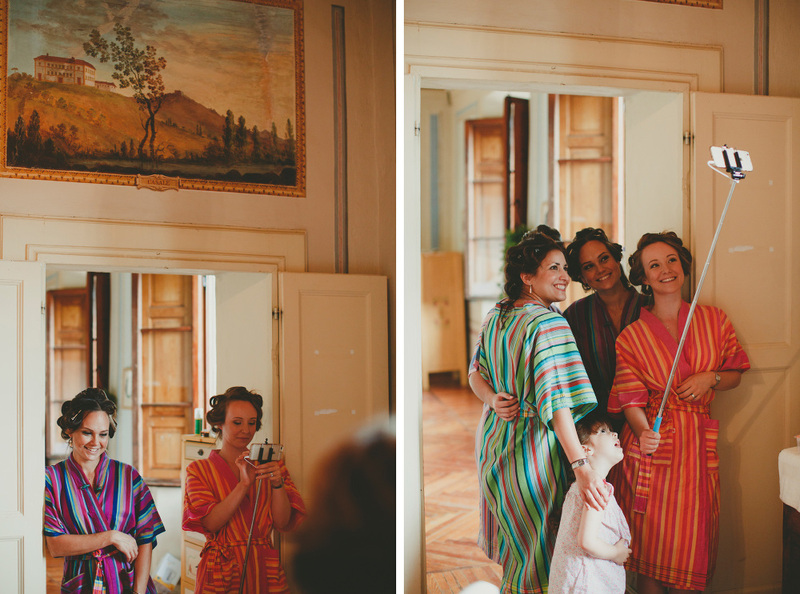 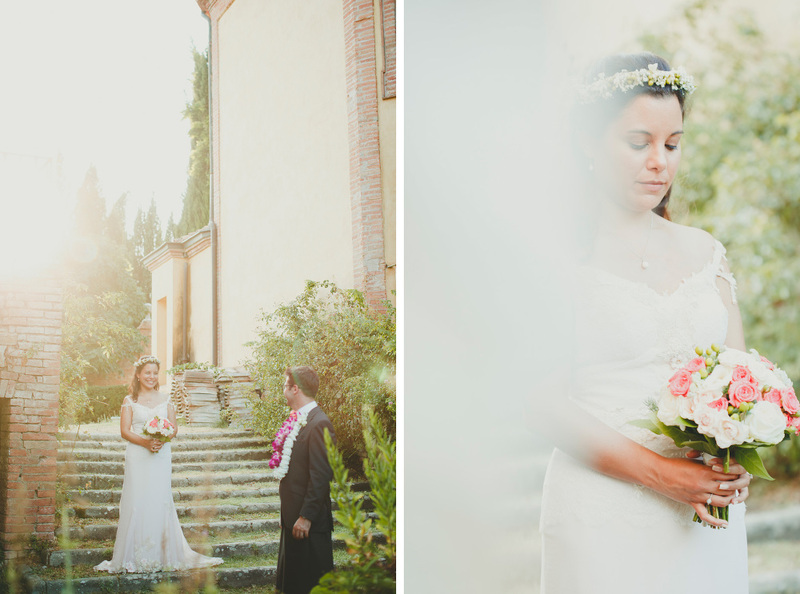 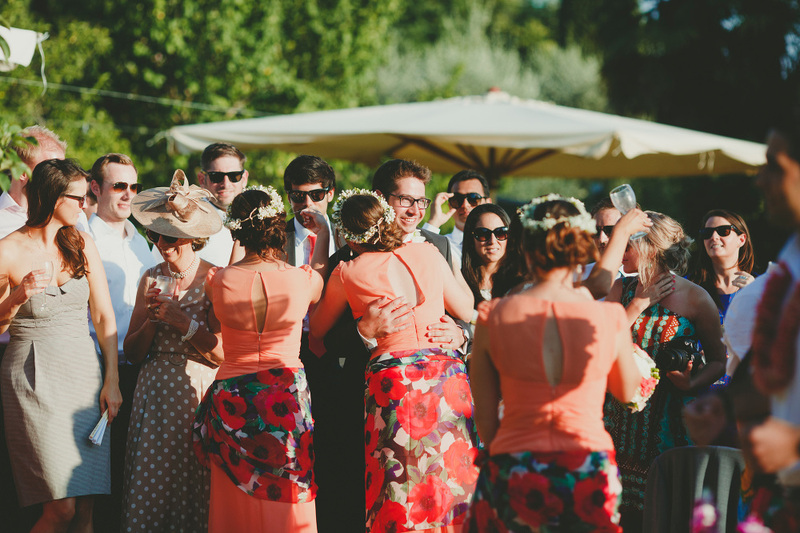 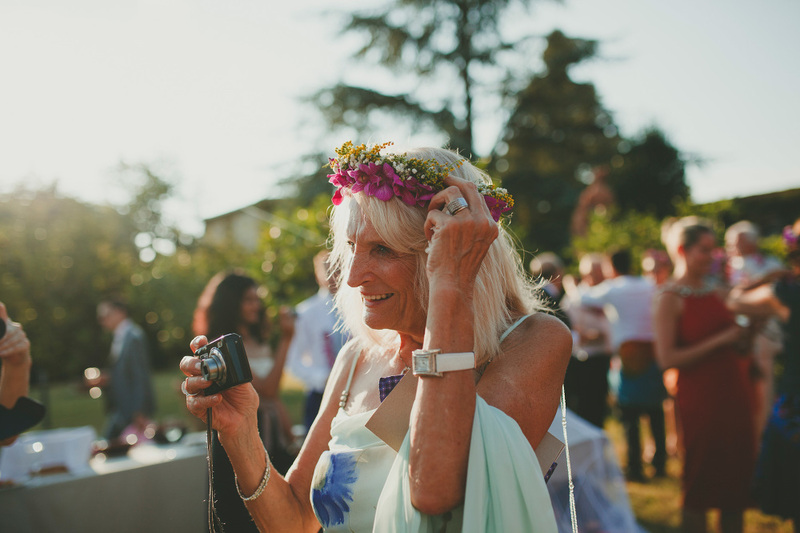 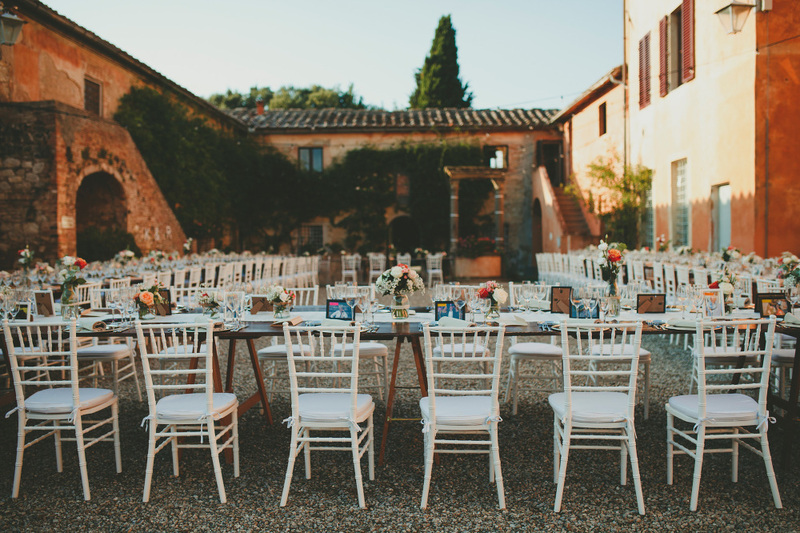 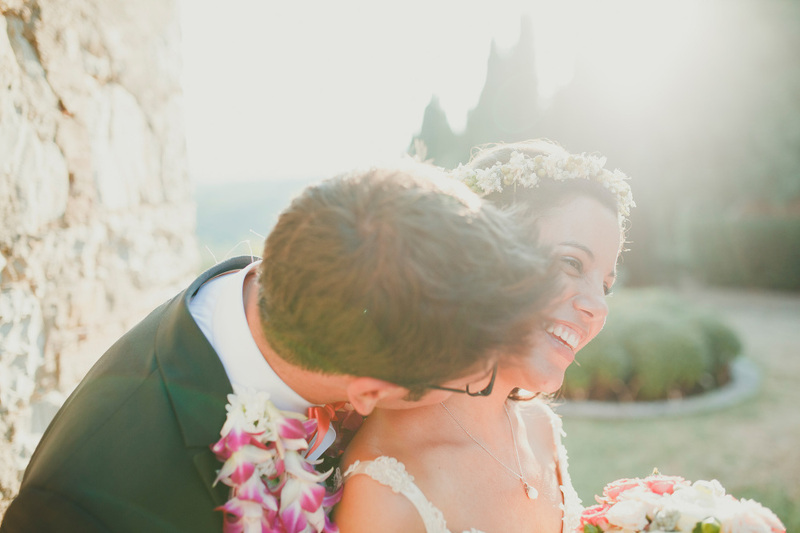 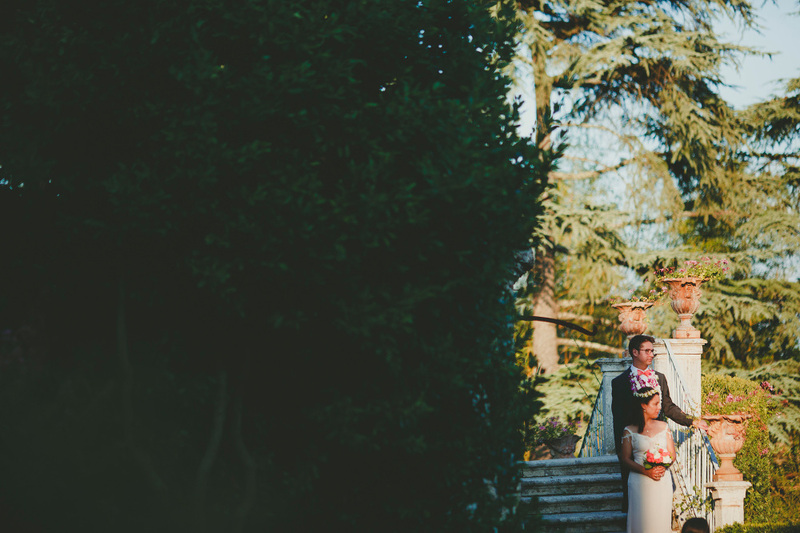 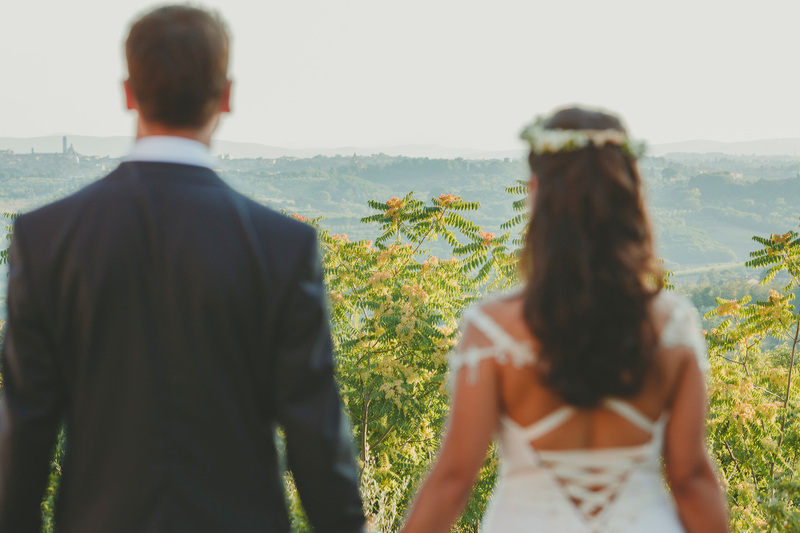 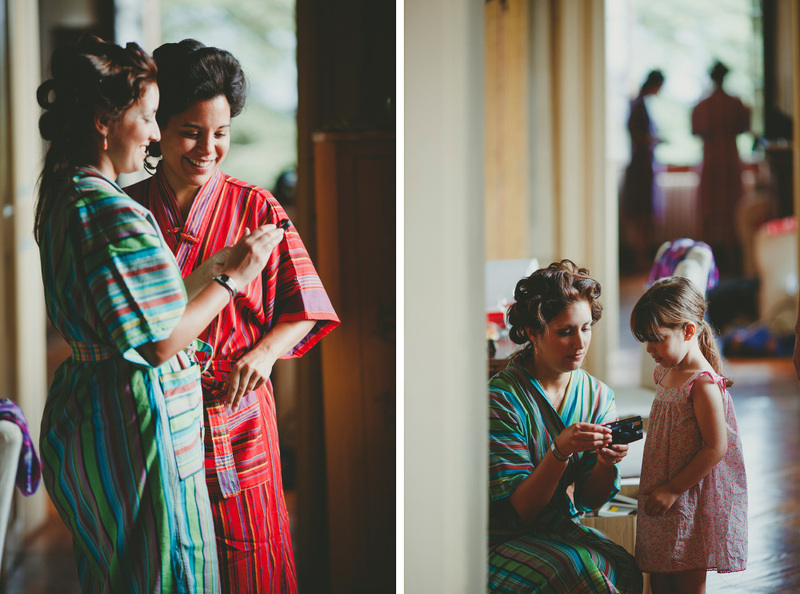 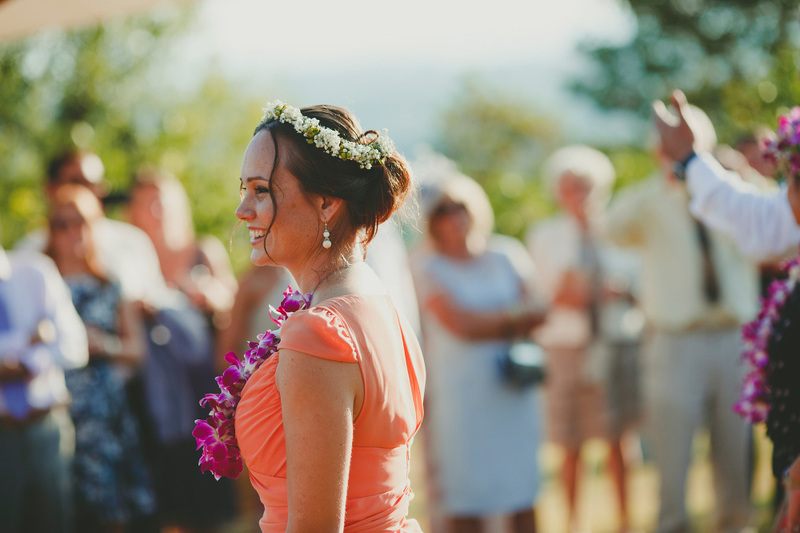 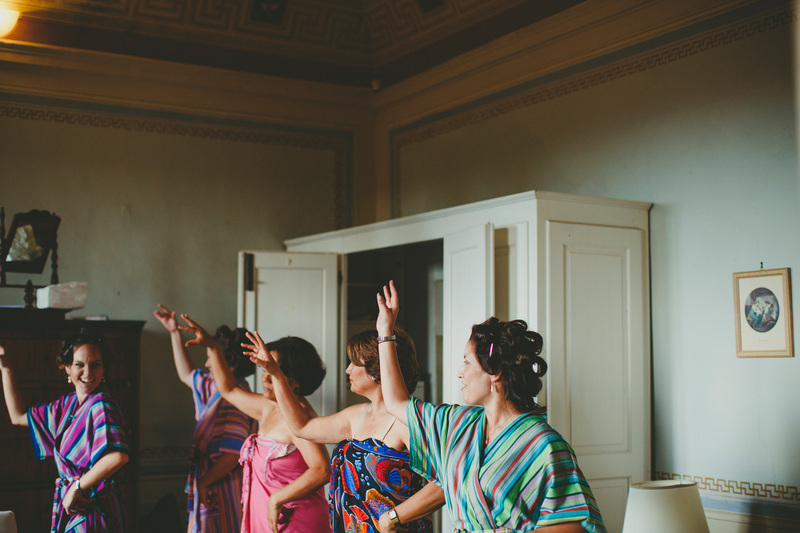 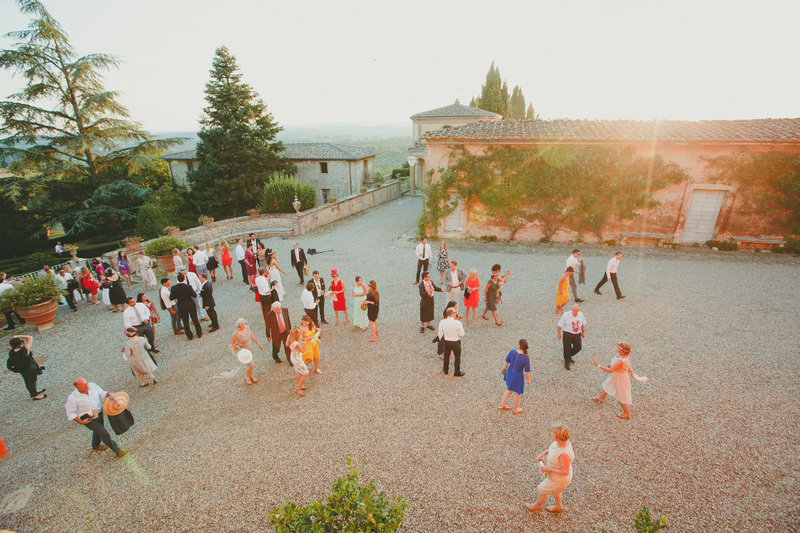 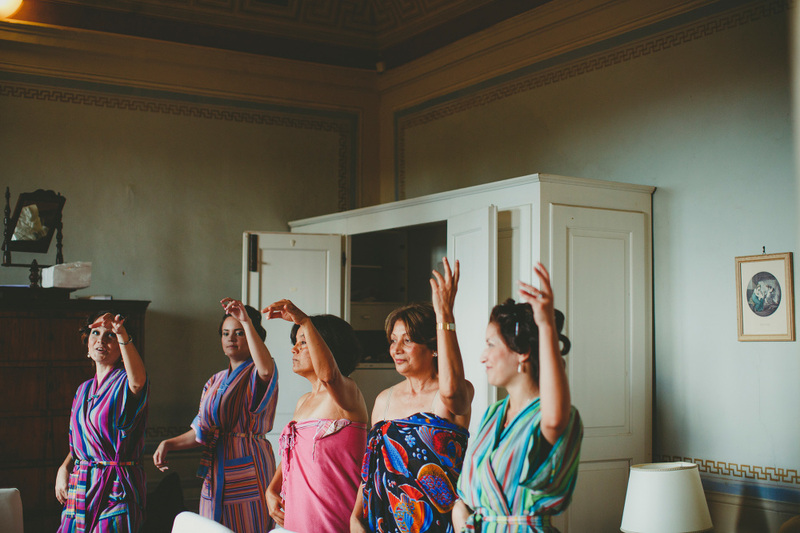 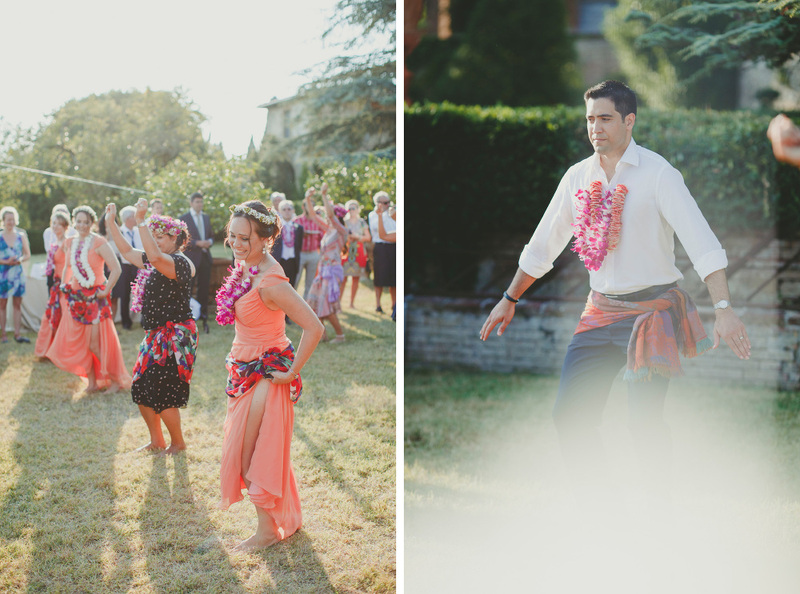 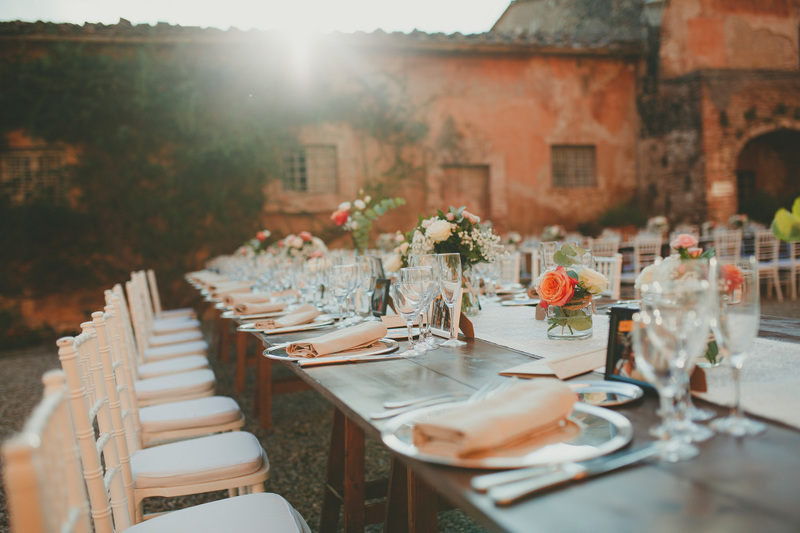 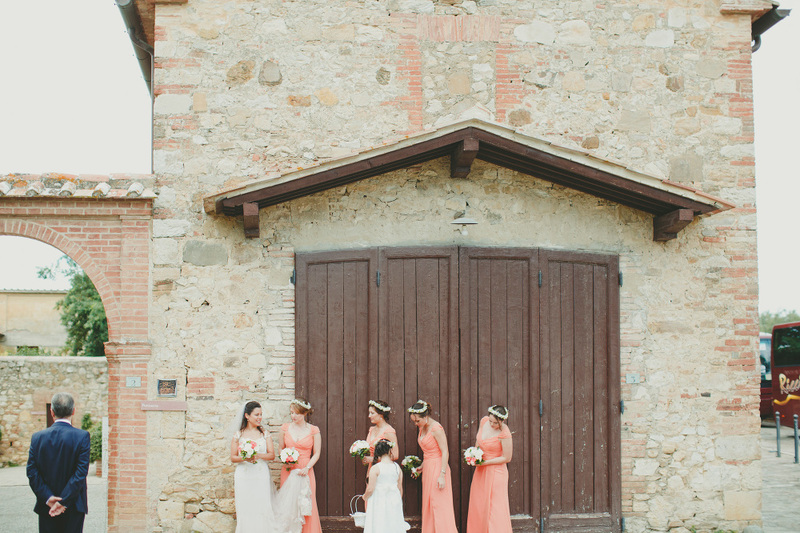 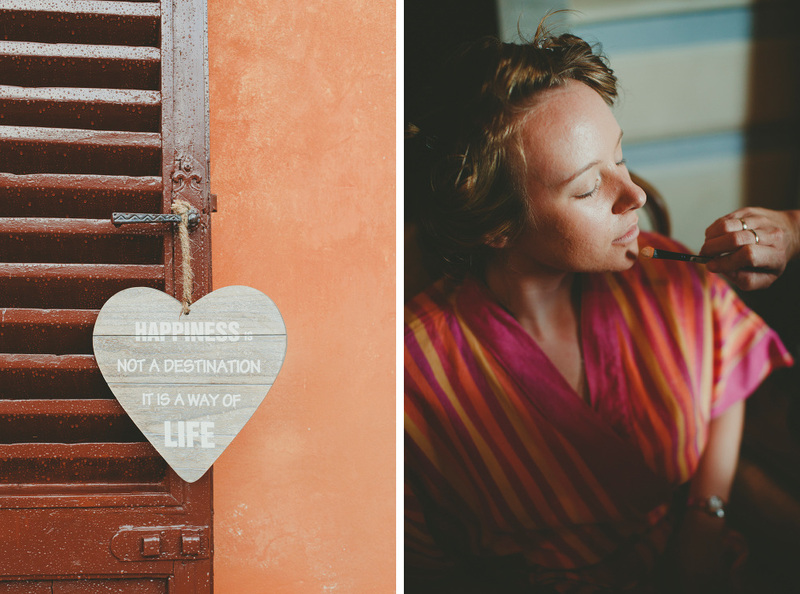 This lovely couple from London, UK, planned a perfect wedding destination in Tuscany, incorporating the best spirit from the South Pacific Islands, where the bride’s family came from. 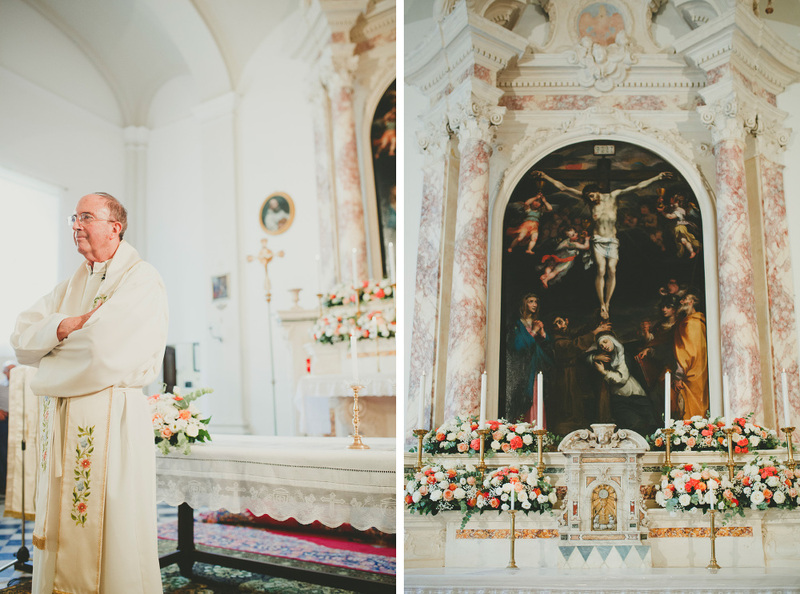 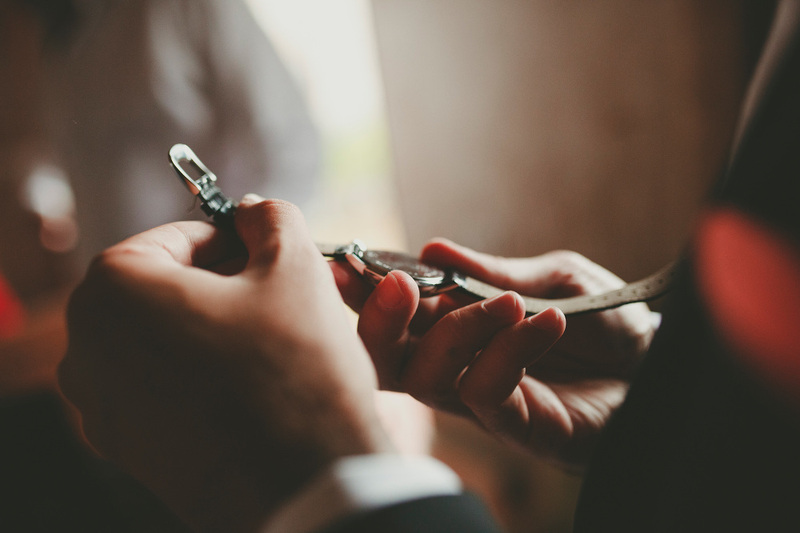 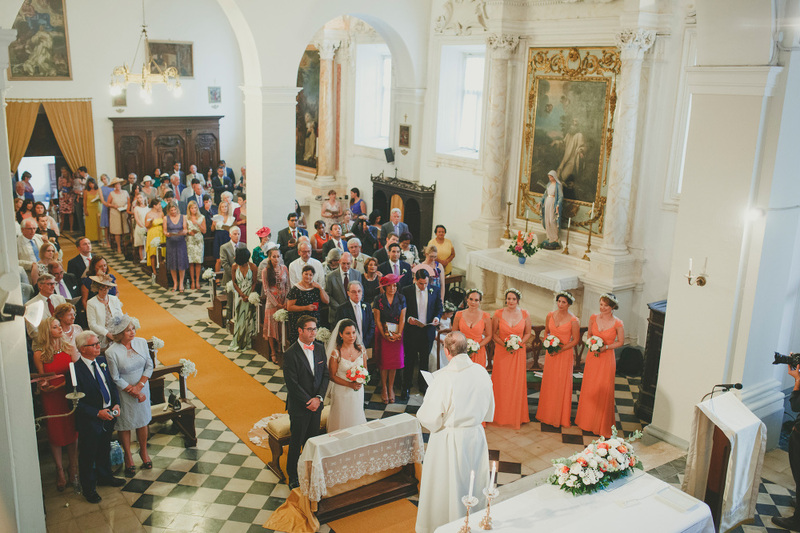 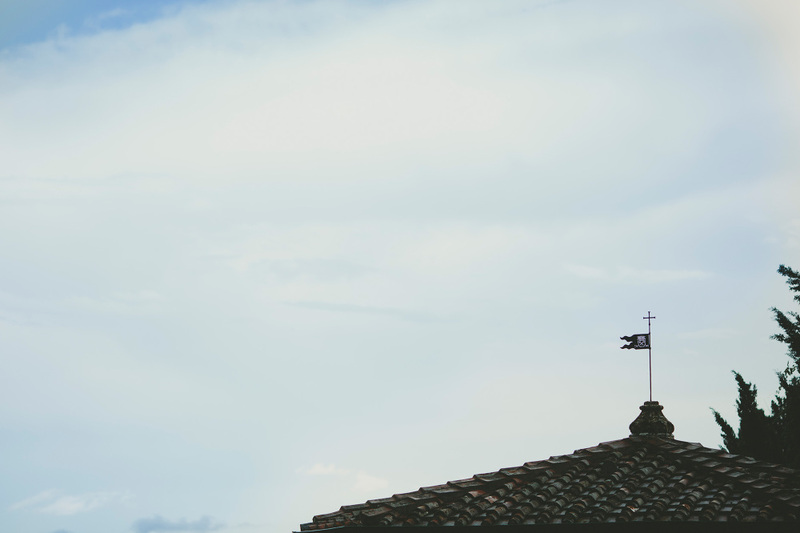 And it was simply lovely to captured them tying the knot in a outstanding Italian Renaissance church, the Saint Peter Chartreuse in Pontignano, surrounded by the groomsmen wearing a sulu, a typical clothing from Fiji. 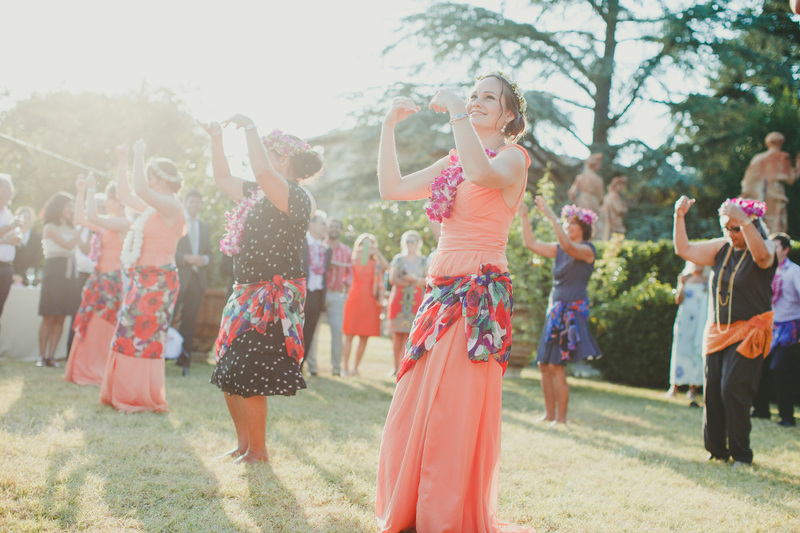 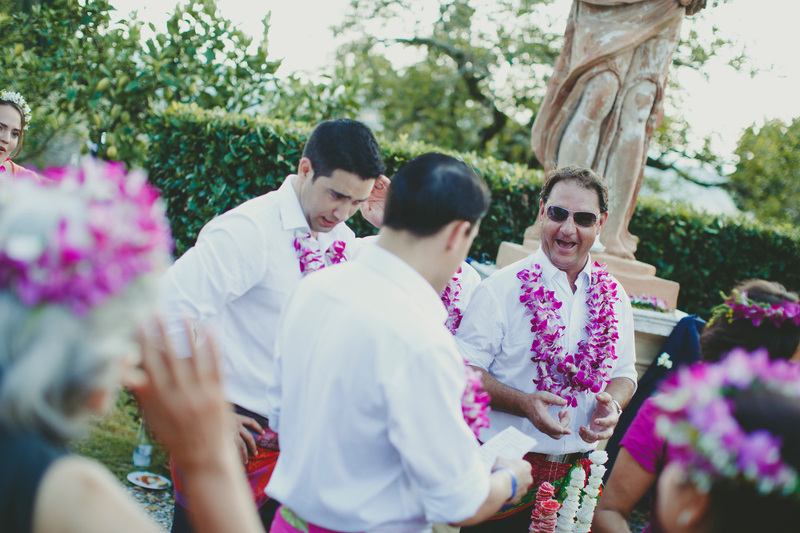 And after a delicious gelato in the courtyard of the church, the celebrations continued in the villa with Polynesian dances performed by the bridesmaids and the closest friends of the couple, everything embellished by the gorgeous wreaths of flowers. 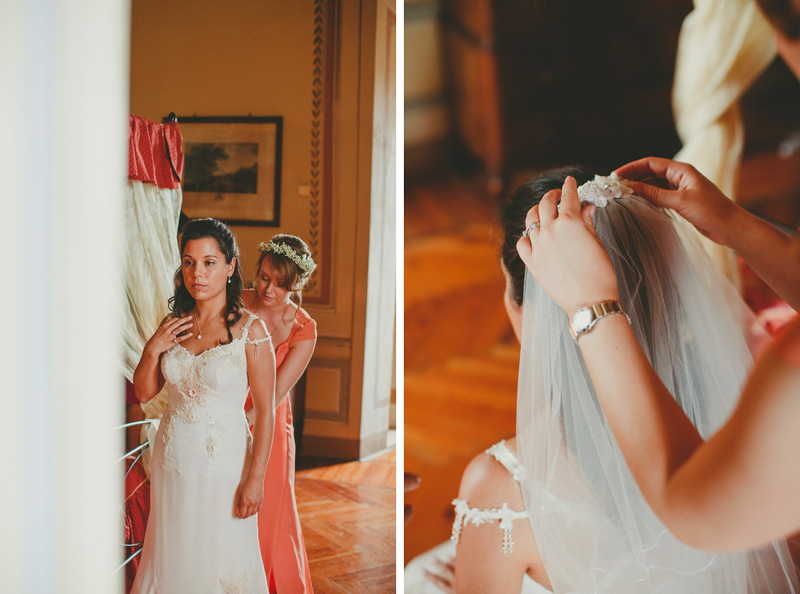 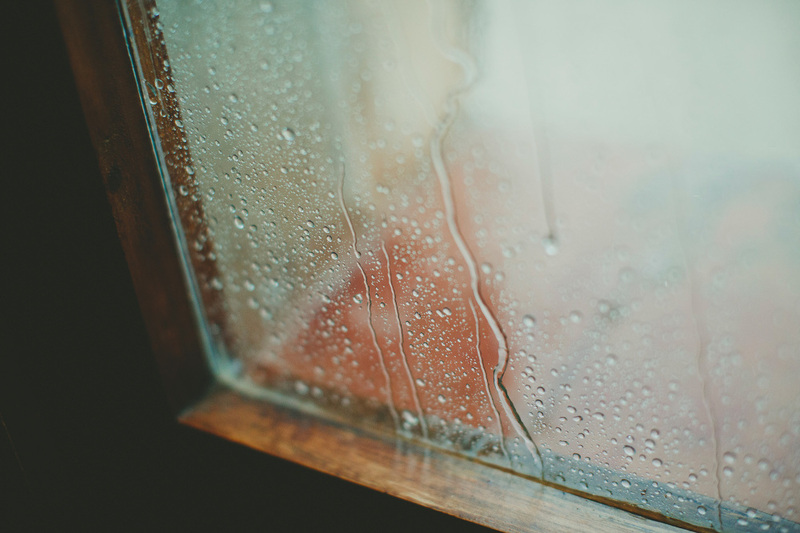 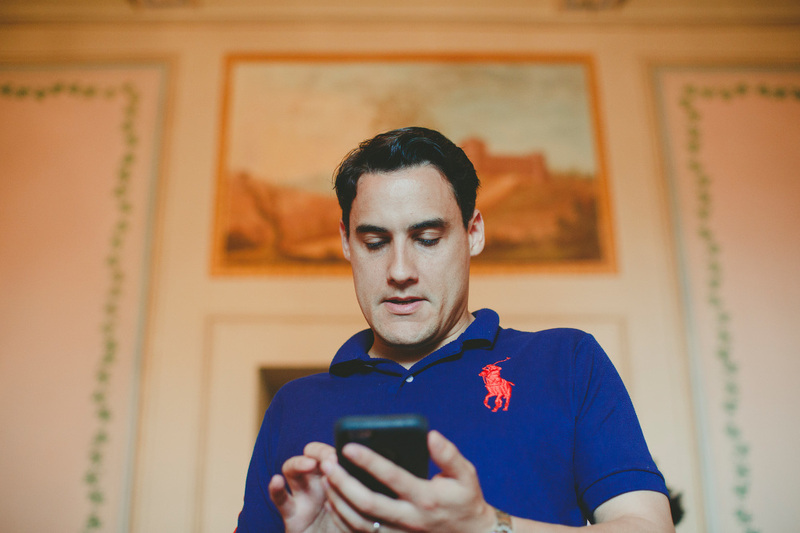 A special thanks to Paul Van for the wonderful team work.